June 19th, 2012 by Margie B. in Walkthroughs. 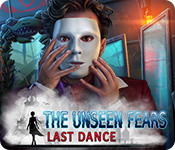 This document contains a complete Haunting Mysteries: The Island of Lost Souls game walkthrough featuring annotated screenshots from actual gameplay! 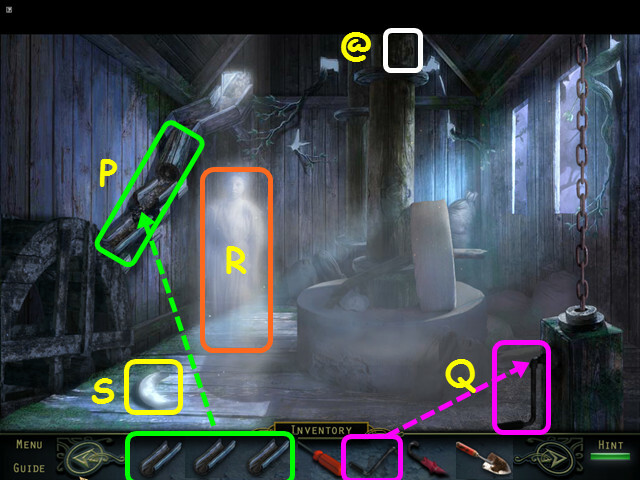 This is the official guide for Haunting Mysteries: Island of Lost Souls Standard Edition! 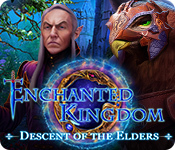 You will have the option of a mini-tutorial once you start the game. 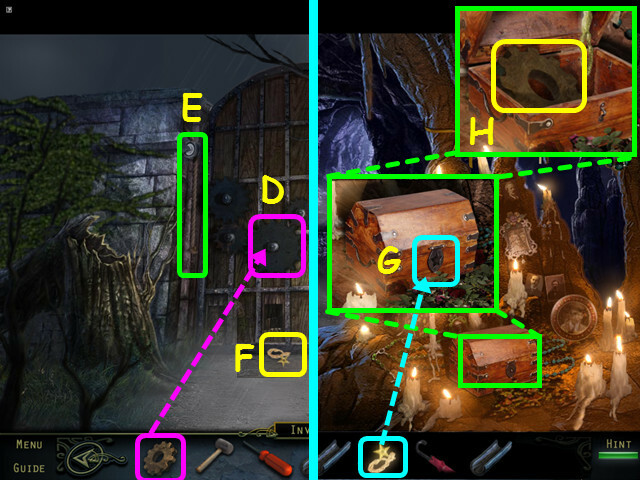 Hidden Object Scenes will be referred to as HOS in this guide. 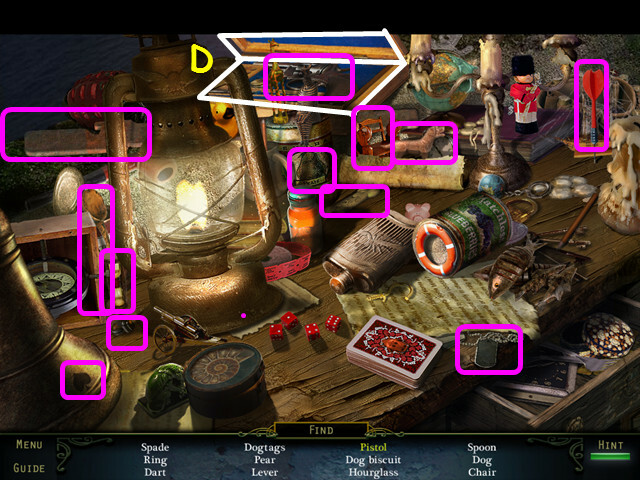 Items listed in yellow are hidden and require opening or moving an object. Use the buttons in the lower left corner to access the menu (1). 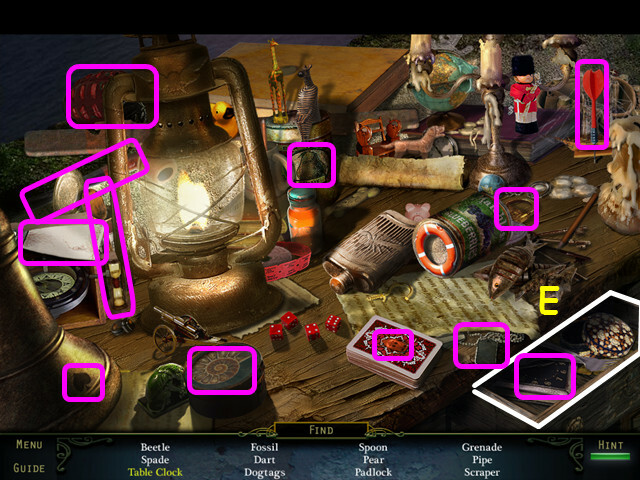 Your inventory is in the bottom panel – select an item to use it in the game (2). 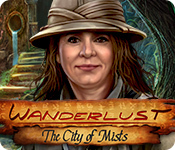 Hints are unlimited, but you must wait for the hint meter to refill (3). Look at the visor, pull out the card, and read the Emergency Exit Safety Release code (A). 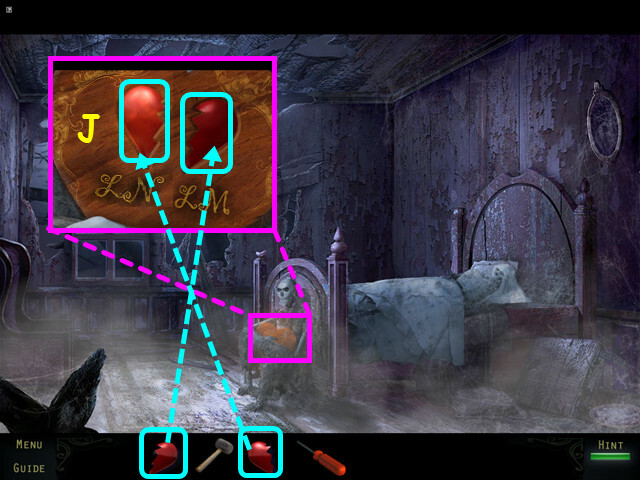 Look at the control panel and move the levers to match the code on the card (B). Press the Emergency Door Release button (C). 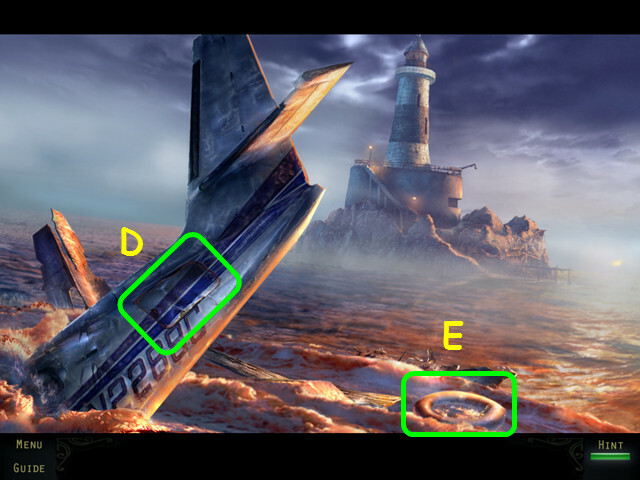 Note the cargo door on the plane (D). Select the life ring for a HOS (E). 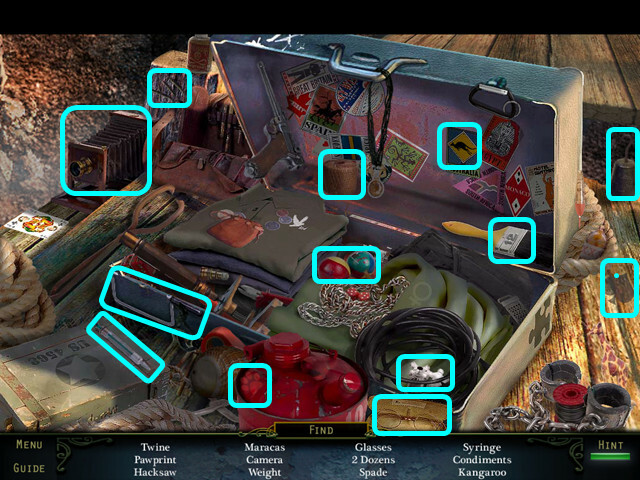 Open the lid of the crate to reveal several items (F). Look at the cargo door on the plane. Use the CROWBAR on the cargo door 3 times (G). Select the open cargo area for a HOS (H). You will earn the LIFE RAFT. After the main body of the plane sinks, place the LIFE RAFT in the ocean (I). Select the life raft to travel to the jetty (J). Try to walk the wooden path on the right (K). Take the 1/8 PHOTO SCRAP (L) and the 2/8 PHOTO SCRAP (M). Find the 1/40 Haunted Souls (@). 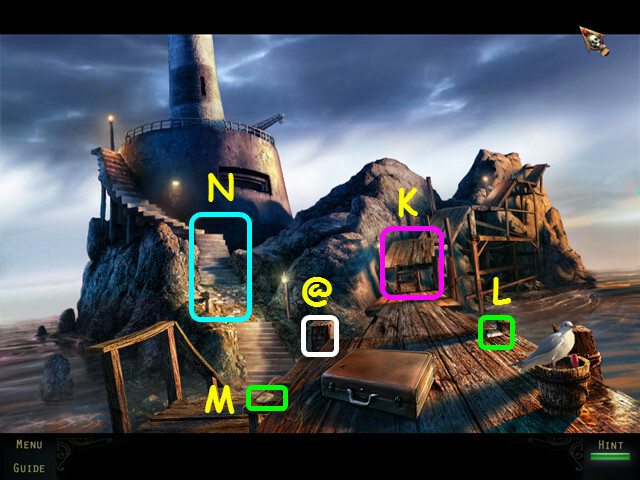 Take the left path towards the lighthouse (N). Find the 2/40 Haunted Souls (@). Look at the sign and take the 3/8 PHOTO SCRAP (O). Look at the papers and take the 4/8 photo scrap (P). Walk forward up the steps. Find the 3/40 Haunted Souls (@). Look for the man in the lighthouse (1). Take the TYPEWRITER RIBBON from the steps (Q). Take the 5/8 PHOTO SCRAP (R). Look at the nets and take the CHISEL (S). Walk behind the lighthouse (T). Find the 4/40 Haunted Souls (@). Look at the wall and use the CHISEL 3 times on the loose brick (U). Take the HAMMER HEAD (V). Move the crate and take the 6/8 PHOTO SCRAP (W). Take the 7/8 PHOTO SCRAP (X), and the 8/8 PHOTO SCRAP (Y). 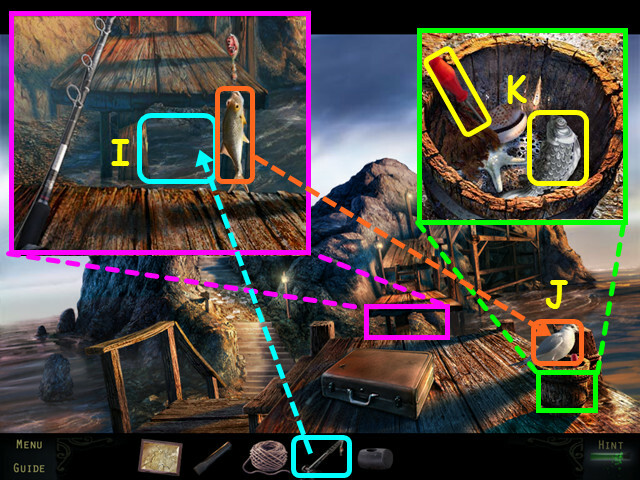 Look at the table and take the FISHING TACKLE (Z). Return to the front of the lighthouse. Look at the netting and place the FISHING TACKLE on the line (A). Take the FISHING ROD (B). 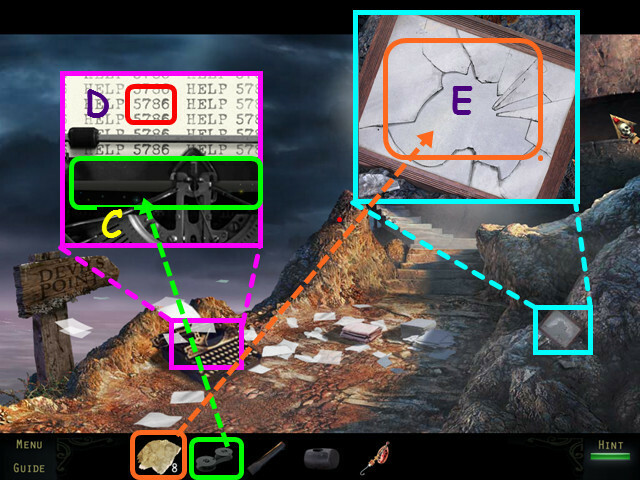 Look at the typewriter and place the TYPEWRITER RIBBON near the keys (C). Note the number code – 5786 (D). 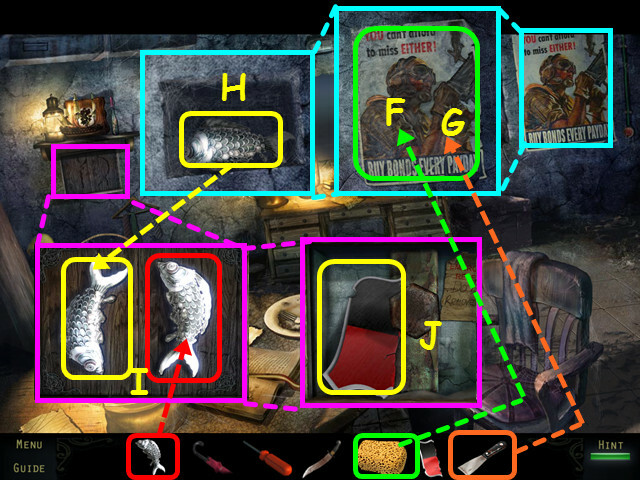 Look at the picture frame and use the 8 PHOTO SCRAPS on it for a mini-game (E). 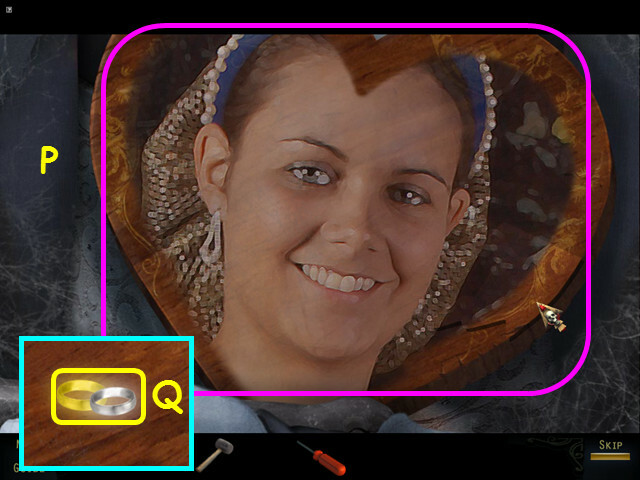 Restore the photo by dragging the photo pieces into position. 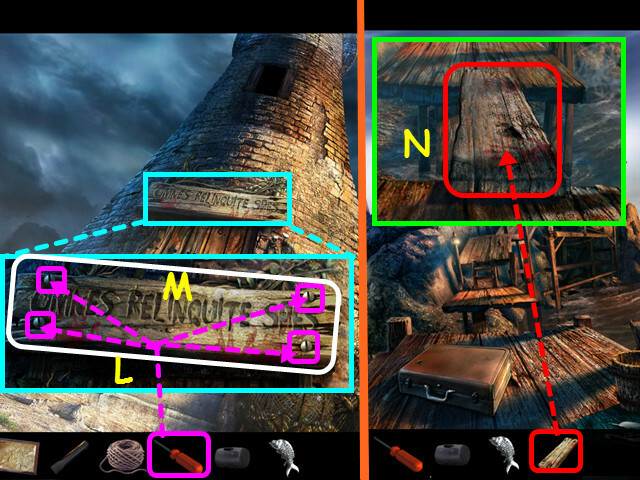 Select a photo piece to rotate it in place. Take the completed PHOTO (F). Walk down to the jetty area. Look at the briefcase and enter the code 5786 found on the typewriter (G). Select the open briefcase for a HOS (H). You will earn the BALL OF TWINE. Look at the hole in the walkway and use the FISHING ROD on the water (I). The HERRING will go automatically into your inventory. Give the HERRING to the seagull (J). Look in the bucket; take the SCREWDRIVER and the SILVER FISH (K). Look at the sign over the door and use the SCREWDRIVER on the 4 screws (L). Look at the gap and place the PLANK over the divide (N). Walk forward on the right path to the graveyard. Find the 5/40 Haunted Souls (@). Take the WOODEN HANDLE (O). Note the missing headstone (P). Return to the rear of the lighthouse. 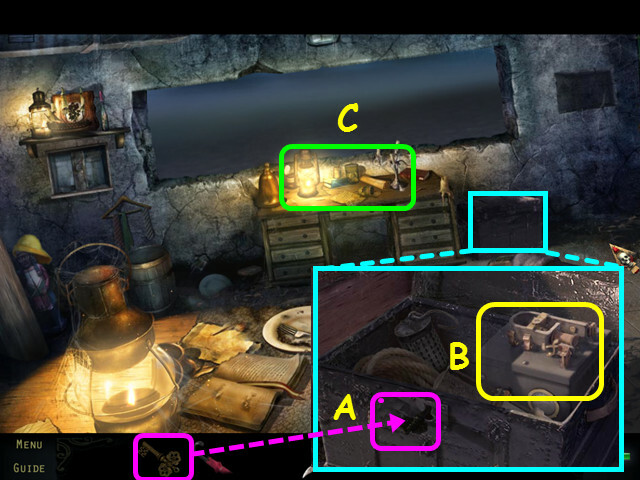 Look at the table; place the WOODEN HANDLE, BALL OF TWINE, and HAMMER HEAD on top (Q). Look at the unfinished gravestone and place the CHISEL on the stone (S). Use the HAMMER on the chisel 7 times as it chips away the stone (T). Take the GRAVE STONE (U). 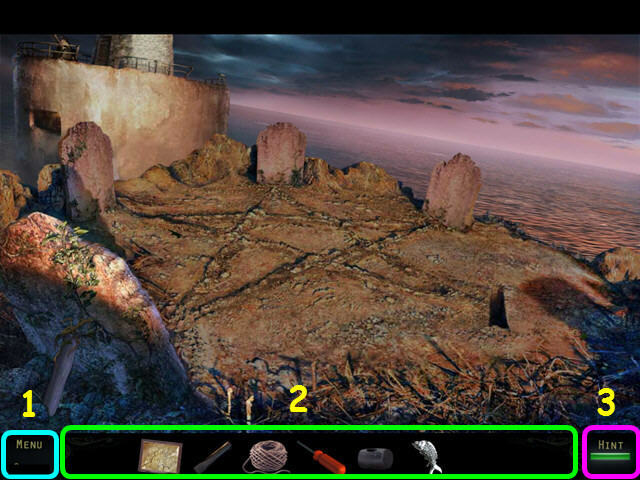 Place the GRAVE STONE into the hole (A). Speak to the ghost, then give her the PHOTO (B). You will receive the PANEL. 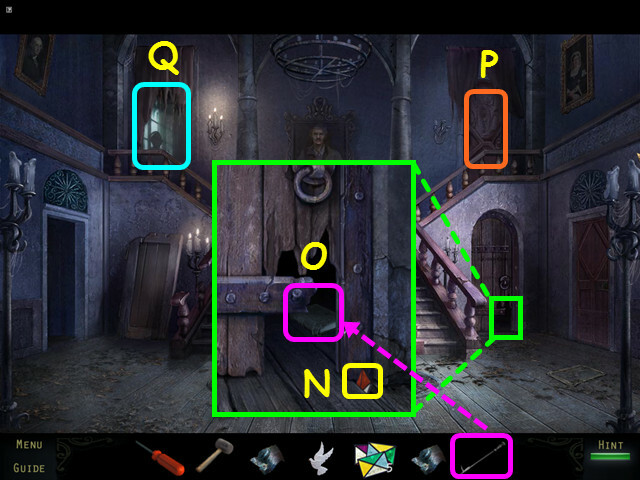 Look at the door and place the panel into the control for a mini-game (C). Turn the dials so the center circle (D) has the same color and symbol as the center of the first row on the panel (E). 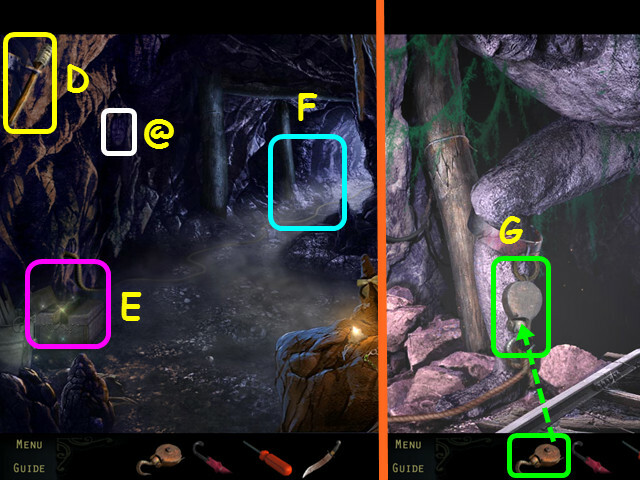 Look at the color the arrow on the left dial points to (F), then change the color in the first row of the panel to match (G). Look at the symbol the arrow on the right dial points to (H), then change the color in the first row of the panel to match (I). Repeat this process for the next 4 rows of the panel. 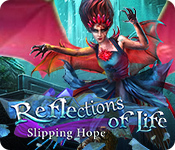 Find the 6/40 Haunted Souls (@). Take the DRY SPONGE (A). Select the shelves under the stairs for a HOS (B). 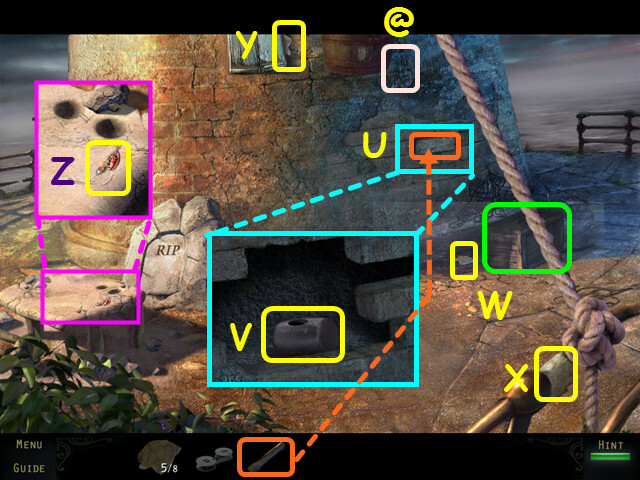 Move the bucket back and forth to find the items behind it (C). Move the poles and umbrella (D). You will earn the ship’s wheel. Walk up the stairs to the lighthouse tower. 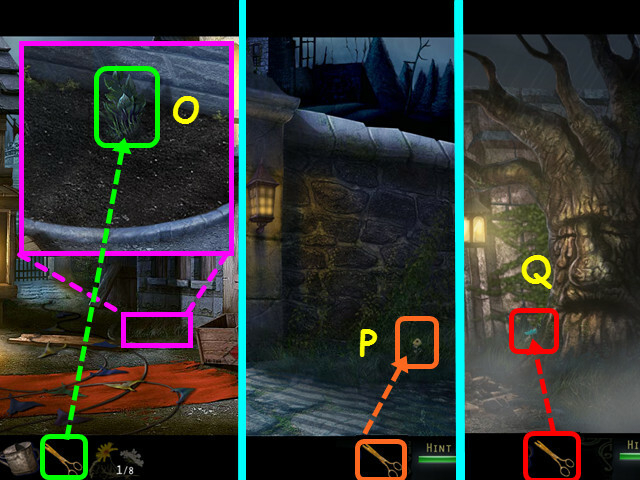 Find the 7/40 Haunted Souls (@). Take the OIL CAN (E). Place the SHIP’S WHEEL on the spindle (F). Walk down the stairs (G). Use the OIL CAN on the rusty gears (I). Return up the stairs to the lighthouse tower. Turn the wheel to rotate the light (J). Talk to the keeper (K). Select the base of the light for a HOS (L). Open the skull’s jaw to find the eight-ball (M). You will earn the KNIFE. Exit the lighthouse and walk to the rear of the lighthouse. Use the KNIFE to cut the rope (N). Look at the barrel debris (O). 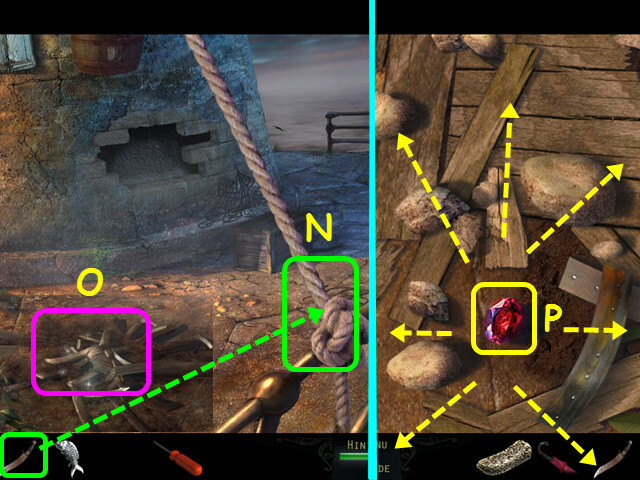 Drag rocks and barrel pieces aside to find the JEWEL (P). Return to the front of the lighthouse and go inside. Look at the gargoyle, place the JEWEL in the eye (Q), then take the METAL RING (R). Use the METAL RING on the trapdoor (S). Open the trapdoor and walk down to the tower basement. 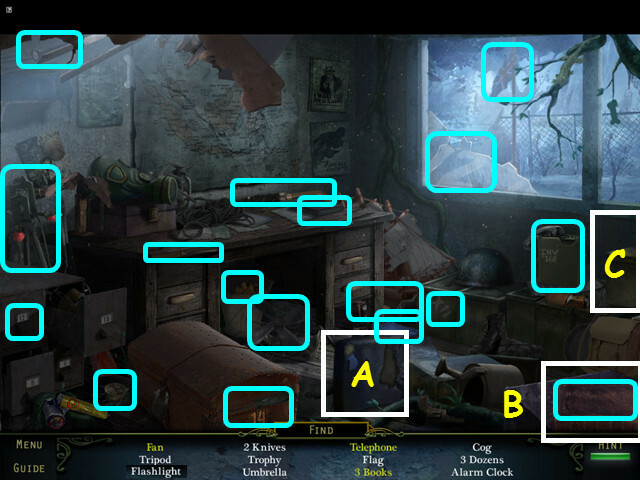 Find the 8/40 Haunted Souls (@). Note the door to the tower bunker (T). After Lord Neville’s ghost leaves, look at the junction box and use the SCREWDRIVER to remove the 4 screws (V). Slide the wire pieces to connect the blue flashing lights (W). Wire pieces can only slide to an empty spot (X). The blinking white squares indicate the pieces that can be moved (Y). Our solution (Z) was to move the wires: up-right-down-down-left-left-up-up-left-left-down-right-up. This mini-game is randomized; your solution may vary. Walk left to the tower bunker. Find the 9/40 Haunted Souls (@). Look at the chest and take the 1/2 SHIELD HALF (A). Look at the journal, turn the page and read about the SOS Signal (B). Use the DRY SPONGE in the bucket to get the WET SPONGE (C). Select the desk for a HOS (D). Open the drawer to find the table clock (E). You will earn the SCRAPER. Look at the poster and use the WET SPONGE on the paper (F). Use the SCRAPER on the poster 5 times to remove all the paper (G). Take the second SILVER FISH (H). 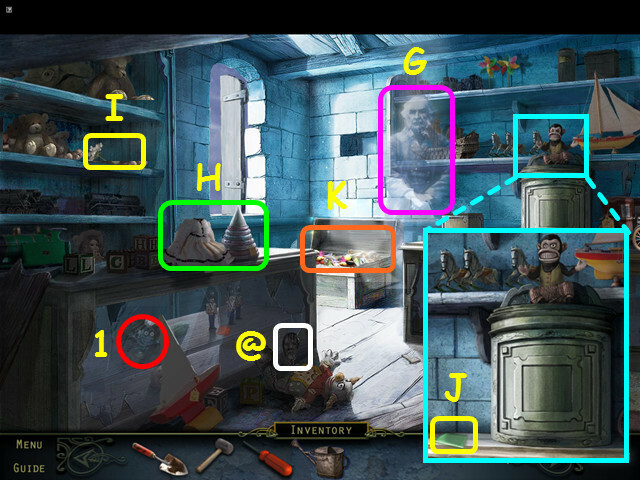 Look at the cabinet and place the 2 SILVER FISH into the indentations (I). Take the second SHIELD HALF (J). Return to the main floor of the lighthouse and select the shelves under the stairs for a HOS. Move the bucket to find the gavel and the keys (K). You will earn the SPYGLASS. 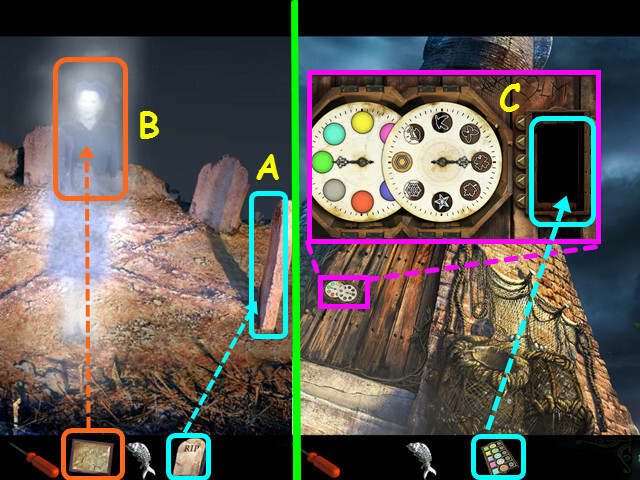 Give the SPYGLASS to the keeper and he will give you the PUZZLE PIECE (L). Take the SHIP’S WHEEL (M). 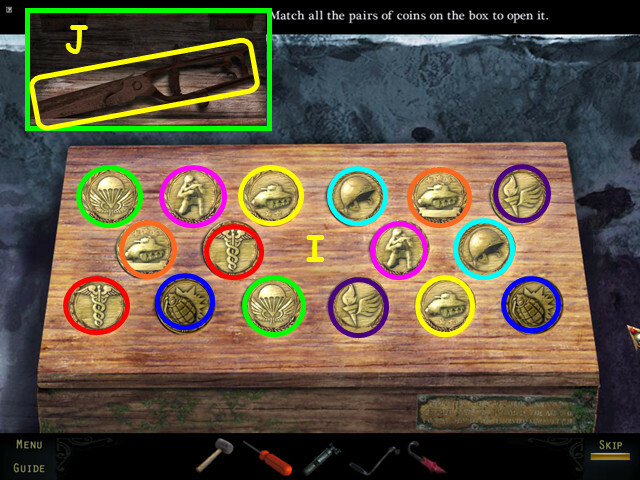 Look at the barrel and place the 2 SHIELD PIECES into the niche for a mini-game (N). Drag the pieces to fit into the outline and restore the crest (O). Take the WRENCH from inside the barrel (P). Return to the tower bunker. 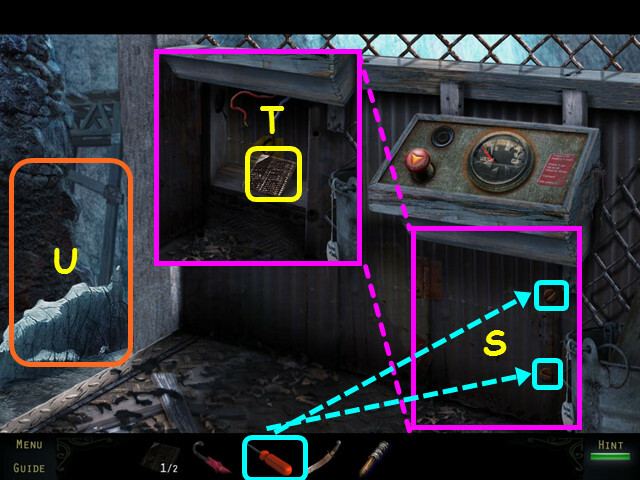 Look at the cabinet and use the WRENCH to take the LARGE BOLT (Q). Exit the bunker and return to the area with the typewriter. Take the HEAVY DUTY HOOK (R). Return to the lighthouse basement and walk forward to the blast door. Place the SHIP’S WHEEL (S) on the door, followed by the LARGE BOLT (T). Use the WRENCH on the large bolt (U). 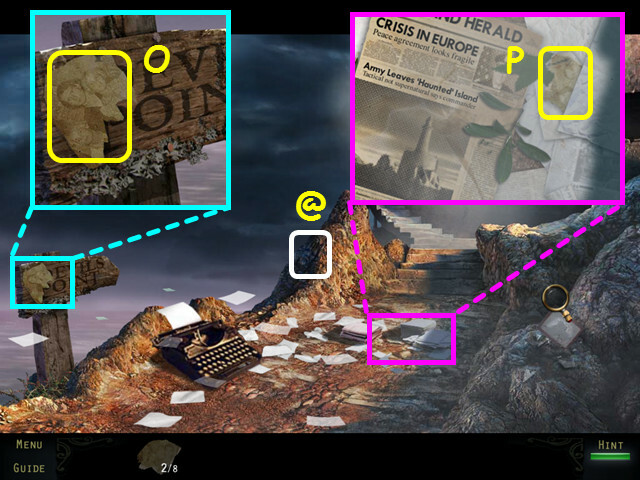 Place the PUZZLE PIECE into the opening (V). Turn the pieces to form a picture of the keeper (W). 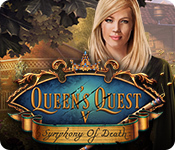 Find the 10/40 Haunted Souls (@). Note the path to Cave B (B). 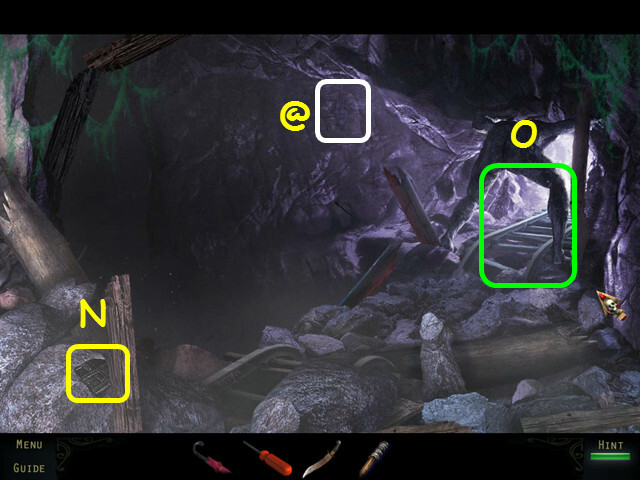 Walk right to Cave C (C). 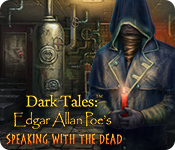 Find the 11/40 Haunted Souls (@). Take the UNLIT TORCH (D). Walk forward to Cave F (F). Place the HEAVY DUTY HOOK on the ring (G). Walk down and select the toolbox for a HOS. 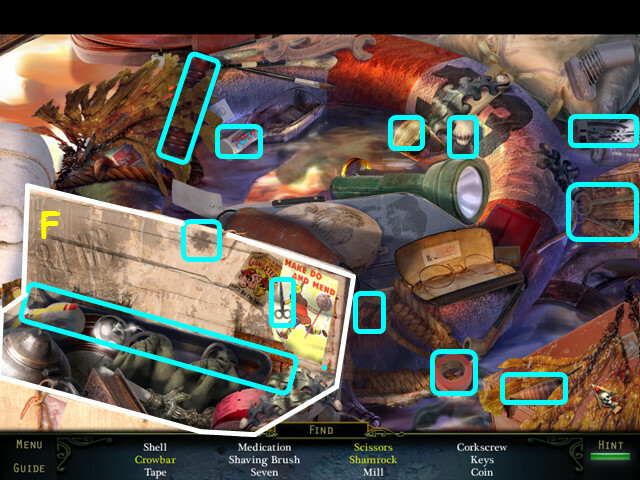 Open the front section of the toolbox to make several items visible (H). You will earn the HATCHET. Walk down, then take the left path to Cave B. 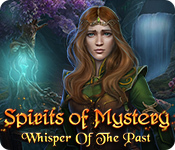 Find the 12/40 Haunted Souls (@). Note the path to Cave E (I). 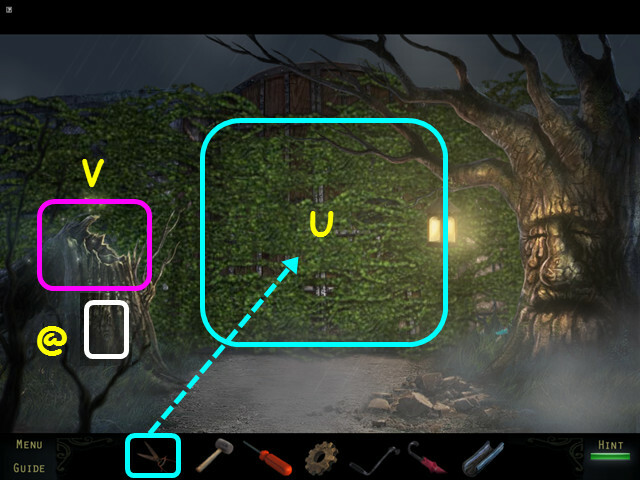 Use the HATCHET on the gate (J). 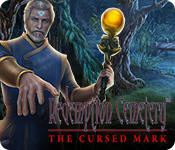 Walk through the gate to Cave D.
Find the 13/40 Haunted Souls (@). Look at the furnace and take the MACHINE BELT (K). Place the MACHINE BELT on the winch (L). Find the 14/40 Haunted Souls (@). Take the 1/2 PUZZLE PIECE (N). Walk forward to the cavern (O). 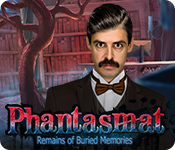 Find the 15/40 Haunted Souls (@). Look in the coal cart, but there is nothing you can use (Q). Walk to the elevator (R). Use the SCREWDRIVER to remove the 2 screws from the panel (S). Take the 2/2 PUZZLE PIECE (T). Walk left to exit the elevator (U). Return to Cave D and look at the furnace. 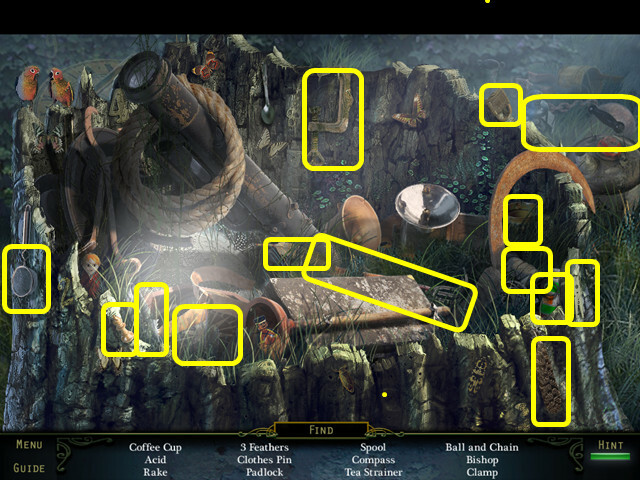 Place the 2 PUZZLE PIECES on the grid to activate the mini-game. Restore the picture by swapping the tiles (V). Select 2 tiles to swap position. Use the UNLIT TORCH on the flames (W). Walk down, then enter Cave E on the left. Use the UNLIT TORCH on the wall torch (X). Talk to the miner (Y). 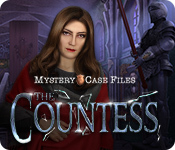 Find the 16/40 Haunted Souls (@). Select the bunks for a HOS (Z). You will earn the CHEST KEY. Walk down 3 times, then go left into the tower bunker. 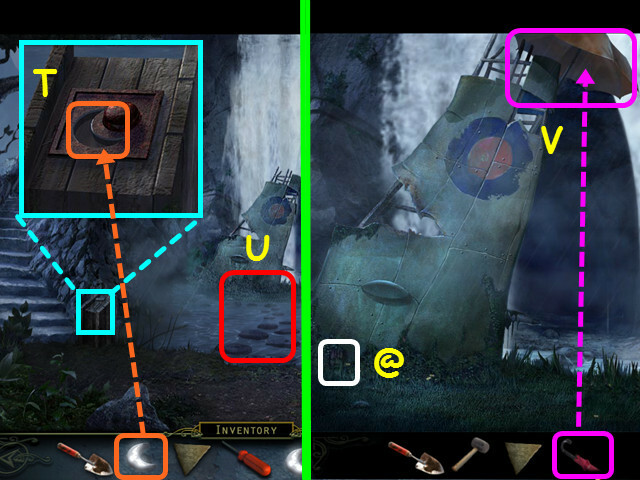 Look at the chest and use the CHEST KEY on the lock (A). Select the desk for a HOS (C). Open the box to reveal the pistol (D). You will earn the RAIL LEVER. Return to Cave F cavern and the rail carts. 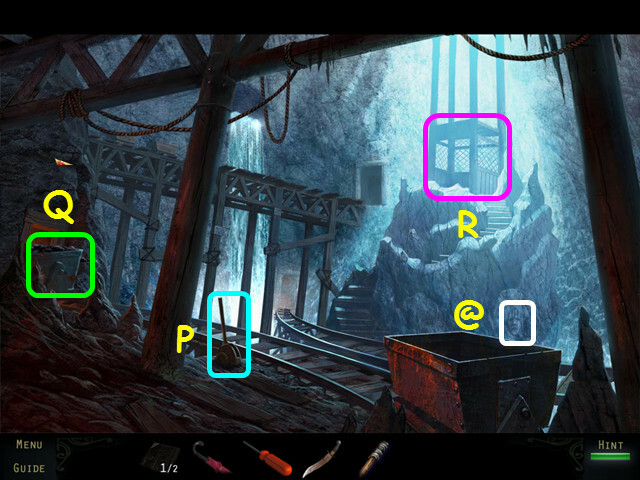 Look at the switch and place the RAIL LEVER in the holder (E). Look in the far left cart and take the DIAMOND (F). 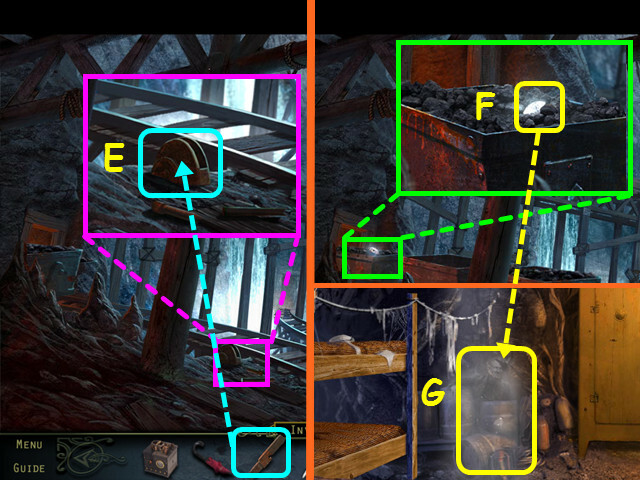 Return to Cave E and give the DIAMOND to the miner (G). The miner will give you the BUTTON. Connect the BATTERY to the wires (H). Place the BUTTON on the panel (I). Press the up button (J). Once the elevator stops, exit to the left. 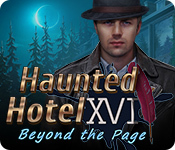 Find the 17/40 Haunted Souls (@). Look at the jeep and use the KNIFE to cut open the tarp (A). Take the WARDROBE HANDLE (B) and the GAS CYLINDER (C). 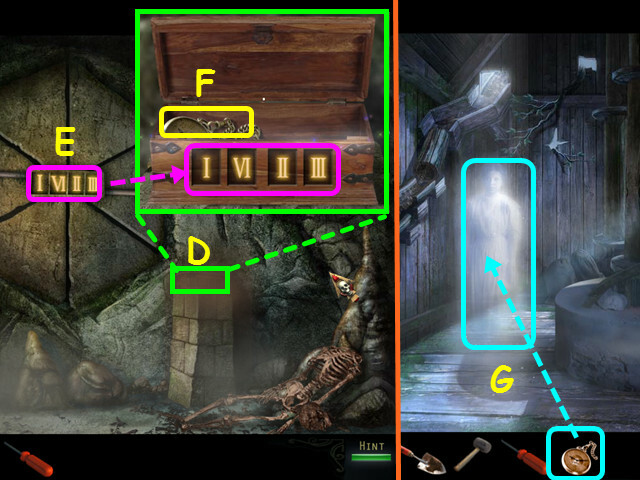 Note the wooden box (D). Note the gas can has fuel (E). Look at the wardrobe and place the WARDROBE HANDLE on the door (F). Take the BRASS COIN (G). Select the bunks for a HOS (H). Return to the jeep and look at the wooden box. 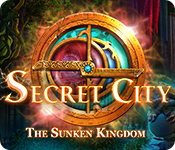 Place the BRASS COIN in the empty circle to trigger a mini-game. Select matching pairs of coins to turn them over (I). Coins that do not match will turn back over. Take the SHEARS from the open box (J). Exit the jeep and walk forward. 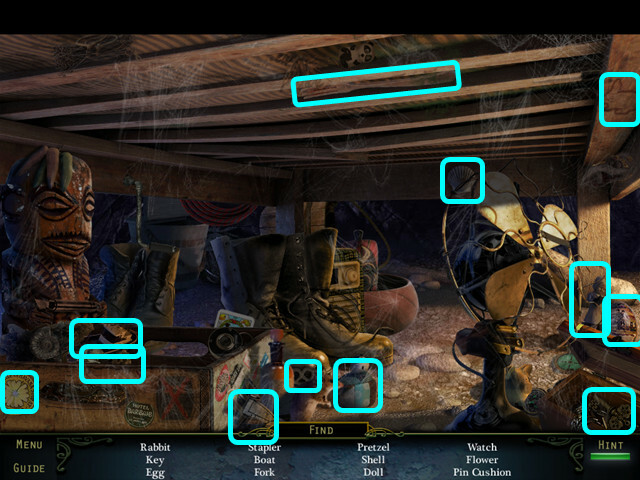 Find the 18/40 Haunted Souls (@). Look at the control and take the first WOODEN PIPE (K). Note the mill entrance (L). Walk up the steps on the left. 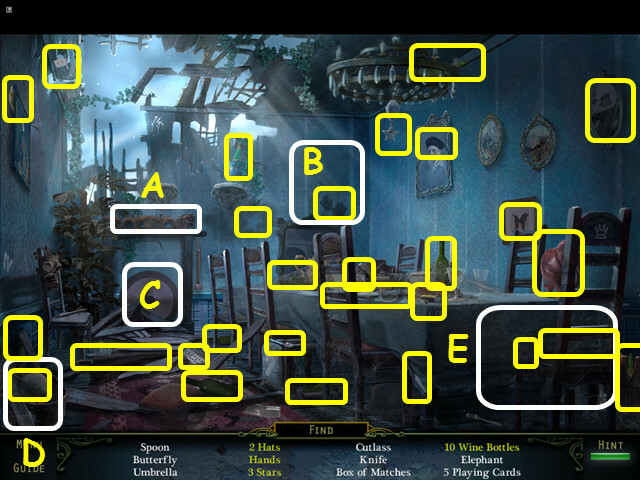 Find the 19/40 Haunted Souls (@). Note the mini-game on the pillar (N). Note the path to the gate (O). Enter the cockpit of the plane (P). Find the 20/40 Haunted Souls (@). Place the GAS CYLINDER on the chair (Q). Take the first COG PIECE (S) and the second WOODEN PIPE (T). Exit the plane and walk forward to the gate. Find the 21/40 Haunted Souls (@). Use the SHEARS on the gate until all the vines are gone (U). Select the rotting stump for a HOS (V). You will earn the ACID. 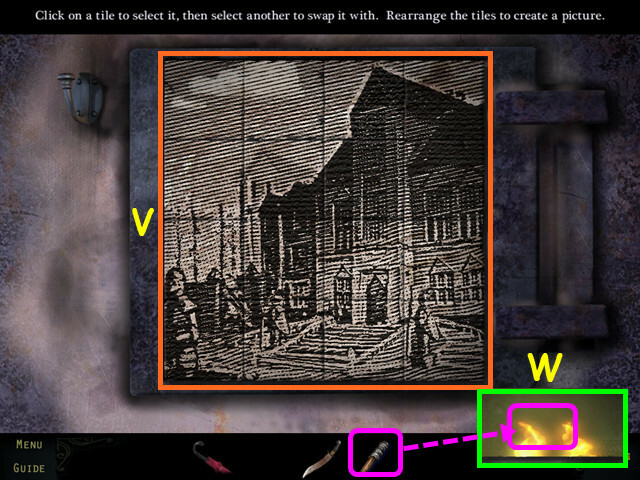 Place the first COG PIECE on the gate (W). Take the first STONE WEDGE (Y). Walk down 3 times to the compound. 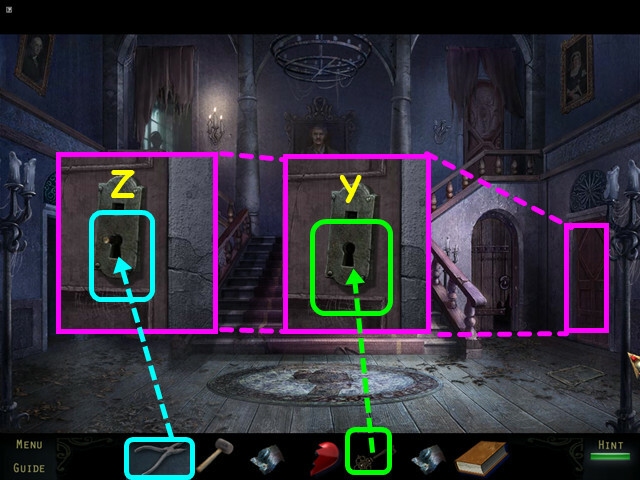 Look at the chained door and use the ACID on the lock (Z). Enter the door for a HOS. Move the chair to find the fan (A). 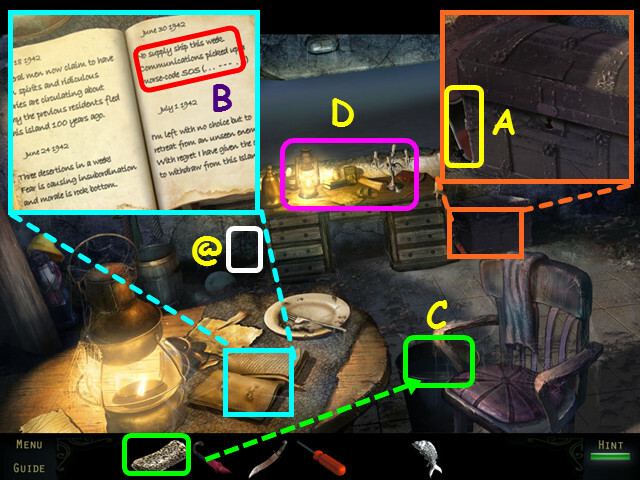 Move the papers to find the book (B). 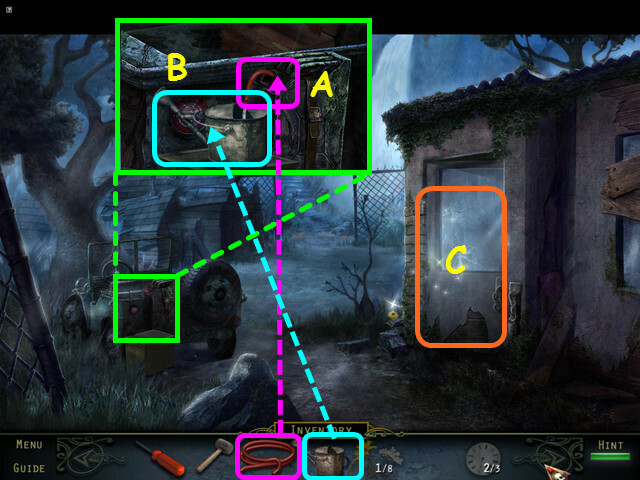 Move the boxes to find the telephone (C). You will earn the second COG PIECE. 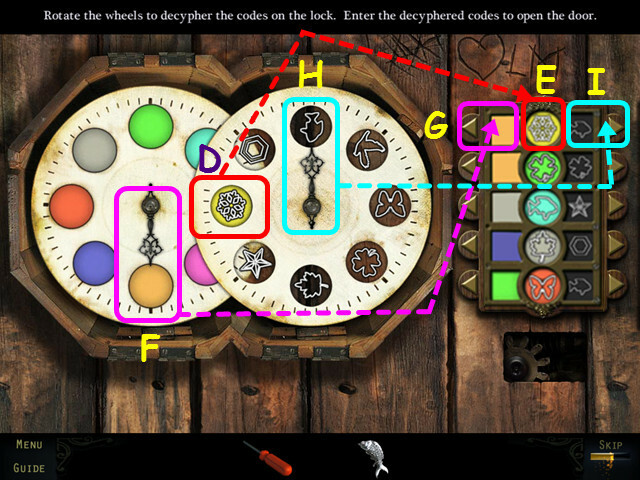 Place the second COG PIECE on the gate (D). Take the STAR-SHAPED NECKLACE (F). Look at the jewelry box and use the STAR-SHAPED NECKLACE on the lock (G). Take the third COG PIECE (H). 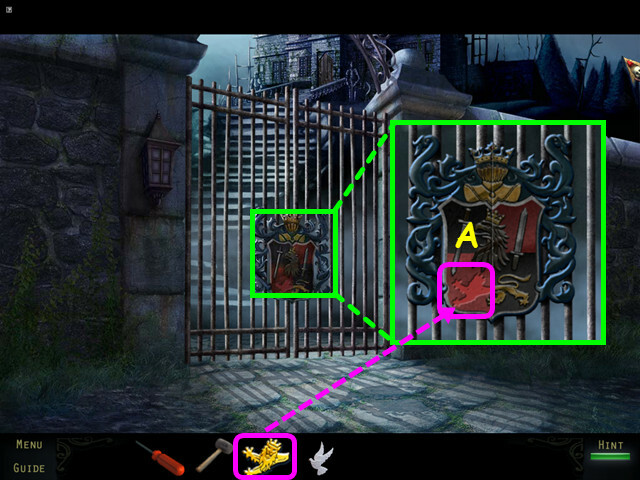 Place the third COG PIECE on the gate (I). Take the MUSIC REEL (K). Look inside the tree; place the MUSIC REEL (L) and the BALLERINA on the music box (M). Look at the base of the tree; use the TROWEL 3 times to dig up the third WOODEN PIPE (O). Walk down twice, then enter the mill on the right. Find the 22/40 Haunted Souls (@). Place the 3 WOODEN PIPES on the wall (P). 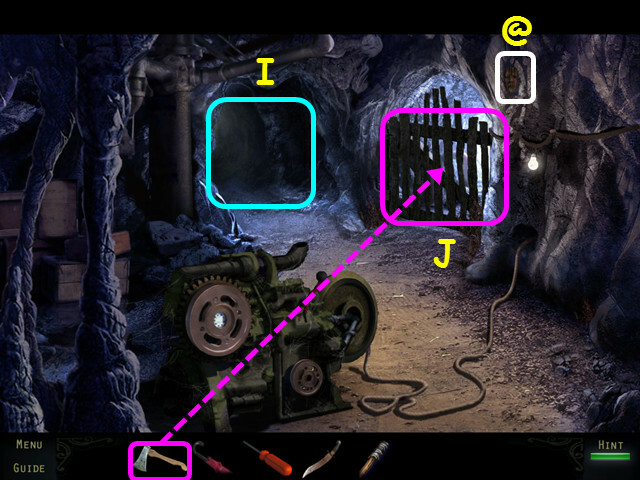 Place the CRANK in the winch (Q). Speak to the ghost (R), then turn the crank. Take the CRESCENT MOON (S). Look at the control box and place the CRESCENT MOON in the niche (T). Walk to the small island (U). Find the 23/40 Haunted Souls (@). Use the UMBRELLA to block the water (V). 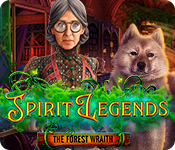 Find the 24/40 Haunted Souls (@). 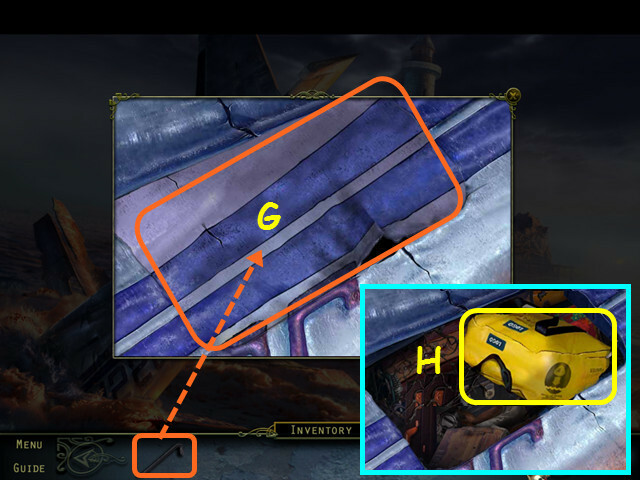 Place the STONE WEDGE into the empty spot (A). Watch the wedges light up, then repeat the pattern (B). There are 4 sequences to complete (C). Our sequences were: yellow-pink-white, orange-pink-white-white, orange-yellow-pink-orange-pink, and blue-tan-tan-tan-tan-yellow. 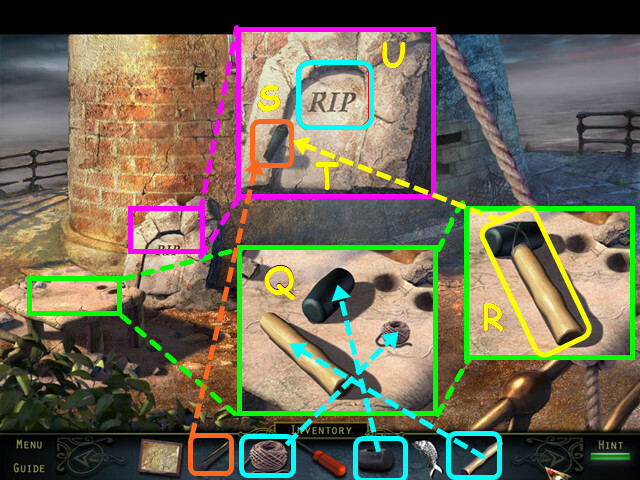 Look at the box (D) and enter the code from the stone wedges (E). Take the ANTIQUE WATCH (F). 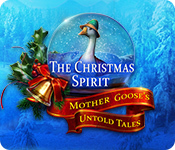 Give the ANTIQUE WATCH to the ghost (G) and you will receive the fourth COG PIECE. Place the fourth COG PIECE on the gate (H). Find the 25/40 Haunted Souls (@). Take the WATERING CAN (A). Note the path to the river (B), and the path to the street (C). 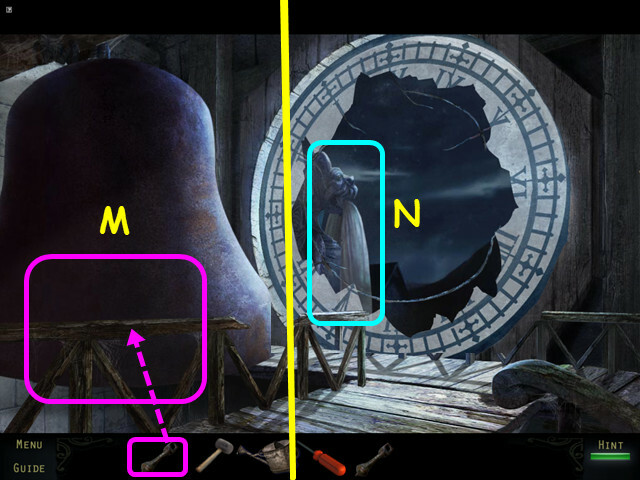 Note the doors to the bell tower (D), and the florist (E). Enter the toy shop (F). Talk to the toymaker (G). Find the Fuzzy Bug (1). 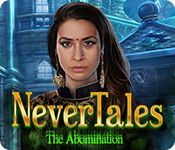 Find the 26/40 Haunted Souls (@). 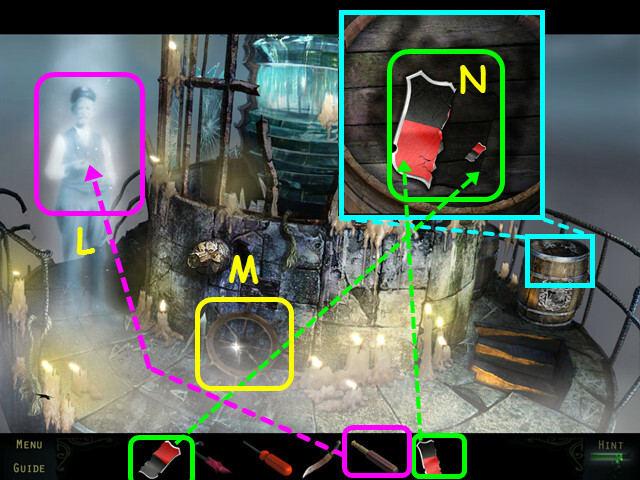 Note the doll repair area (H). Move the bears and take the 1/8 FLOWERS (I). Look at the monkey and take the 1/2 GLASS DIAMOND (J). 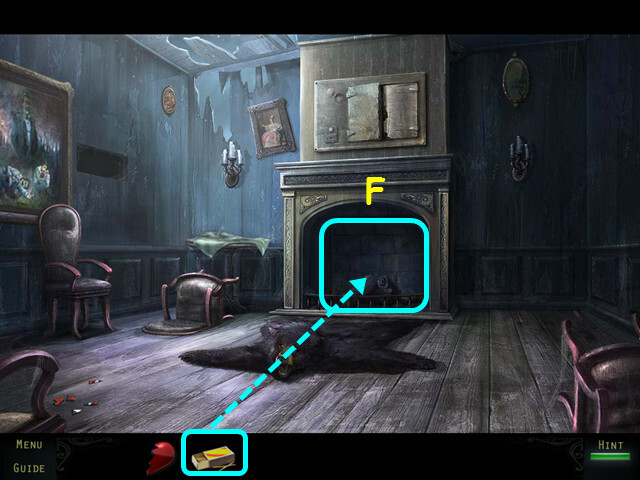 Push the doll over in the lower right to find a blue square drawn in the lower left of a larger square. Select the trunk for a HOS (K). You will earn the DOLL PARTS. Exit the toy shop, then enter the florist’s shop. Find the 27/40 Haunted Souls (@). Look at the sign and take the DRY PAINTBRUSH (L). Make note of the yellow and green squares on the sign. Note the bouquet table (M). Return to the toy shop and look at the doll repair table. 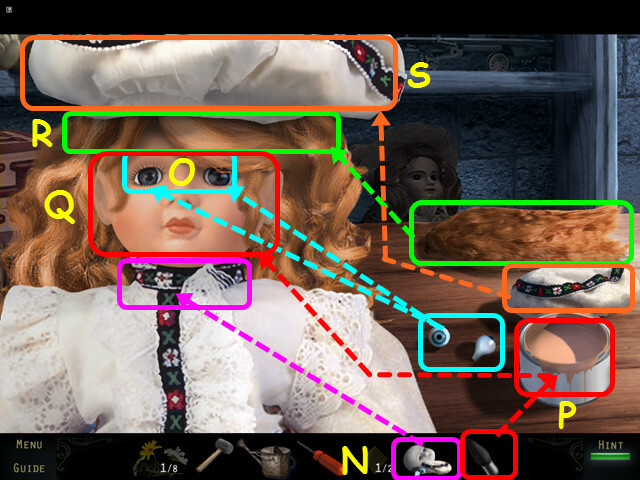 Place the DOLL PARTS on the doll body (N). Place the 2 eyes into the doll head (O). Dip the DRY PAINTBRUSH into the paint (P). Drag the wet paintbrush across the doll’s face until the paint covers it and the brush disappears (Q). Place the hair on the head (R). Place the hat on the hair (S). Take the DOLL and give it to the toymaker; he will give you the 1/3 CLOCK FACE. Exit the toy shop and walk right to the street. Find the 28/40 Haunted Souls (@). Look at the flowerbed; use the TROWEL to dig up the 2/2 GLASS DIAMOND (T). Look at the crate to see the red square in the design (U). 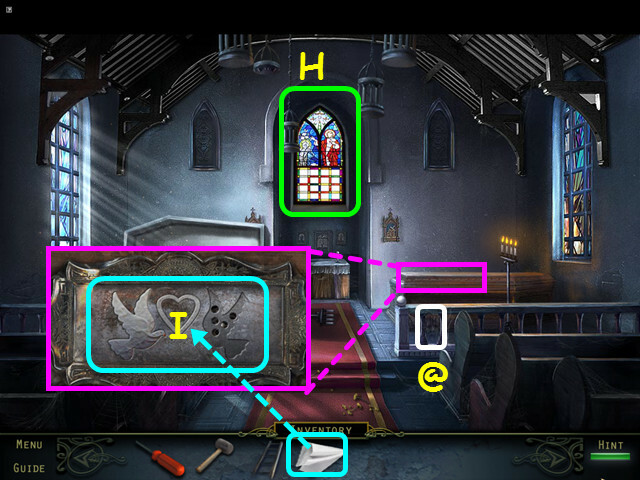 Look at the stained glass window and place the 2 GLASS DIAMONDS on the window for a mini-game (V). Refer to the 3 locations that had drawings to determine proper pane placement (W). Select 2 panes to swap position. Take the 2/3 CLOCK FACE. Walk forward to the gate. Find the 29/40 Haunted Souls (@). Look at the gate and take the HOSE PIPE (X). Walk down 6 times to the compound. Look at the jeep and place the HOSE PIPE into the gas can (A). Note – if you did not inspect the can earlier, you will need to remove the lid. 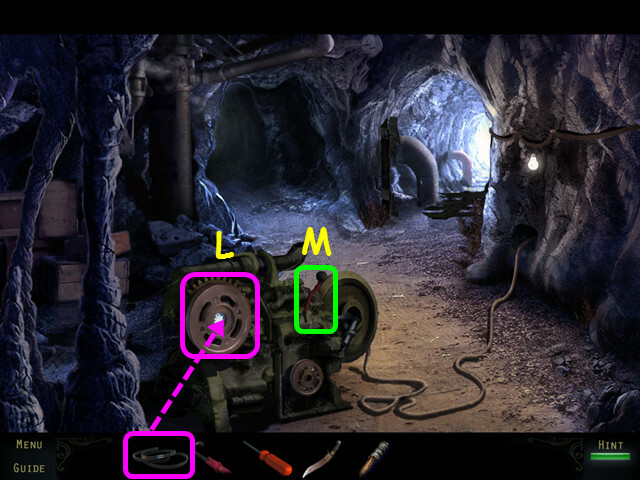 Place the WATERING CAN to the left of the gas can (B). The GASOLINE will go automatically into your inventory. Select the guardhouse for a HOS (C). You will earn the WEEDKILLER. Return to the florist’s shop. Use the WEEDKILLER on the giant plant (D). Take the 3/3 CLOCK FACE (E). Exit the shop and look at the bell tower door for a mini-game. Find the 30/40 Haunted Souls (@). 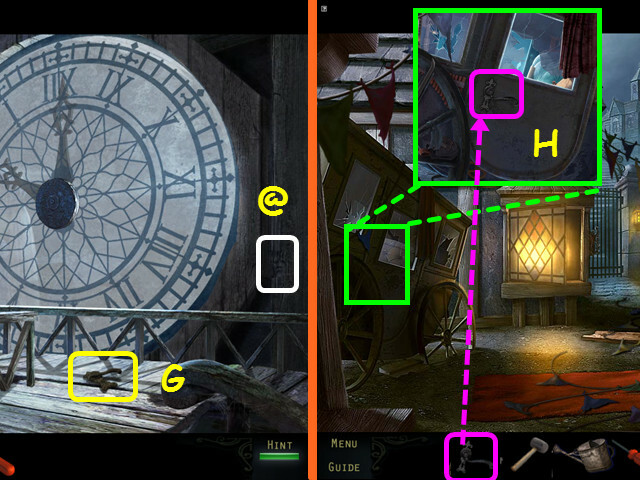 Place the 3 CLOCK FACES on the door to trigger the mini-game. Move the hands on the faces so they spell SOS. See our solution here (F). Walk up the bell tower stairs. 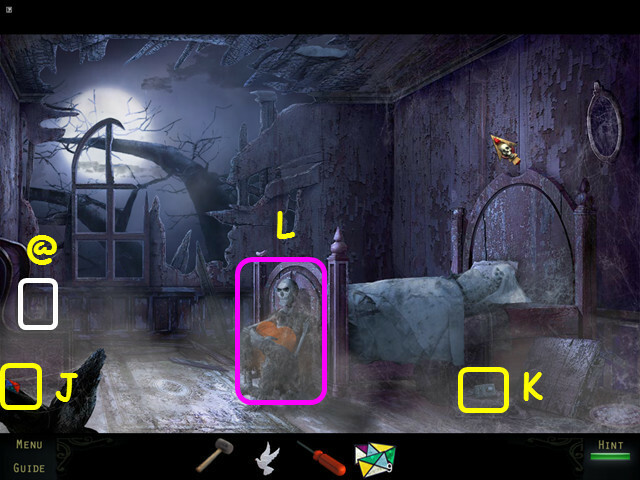 Find the 31/40 Haunted Souls (@). Take the CARRIAGE HANDLE (G). Exit the tower and walk right to return to the street. Look at the carriage and place the CARRIAGE HANDLE on the door (H). Open the door for a HOS. Open the lunch box to find a gift (I). Move the drum to find a gift (J). 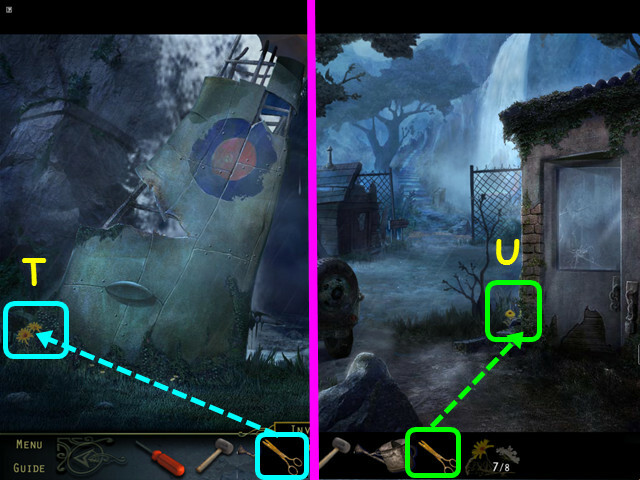 Look at the crate and use the CROWBAR 3 times to open it (K). Place the CLAPPER in the bell (M). Push the bell to ring it. After the bell falls, note the parachute (N). Exit the tower, then enter the florist’s shop. Talk to the florist and she will give you the SCISSORS. Exit the shop and walk right. Look at the flowerbed and use the SCISSORS to collect the 2/8 FLOWERS (O). Use the SCISSORS to collect the 3/8 FLOWERS (P). Use the SCISSORS to collect 4/8 FLOWERS (Q). Use the SCISSORS to collect the 5/8 FLOWERS (R). Walk down to the mill area. Use the SCISSORS to collect the 6/8 FLOWERS (S). Walk forward to the waterfall. Use the SCISSORS to collect the 7/8 FLOWERS (T). Walk down twice to the compound. Use the SCISSORS to collect the 8/8 FLOWERS (U). Return to the florist’s shop and look at the bouquet table. Place the 8 FLOWERS on the table to trigger the mini-game. Drag the flowers into the outline to match the picture (V). Pull out the ribbon; use the SCISSORS to get the FLORISTRY RIBBON (W). 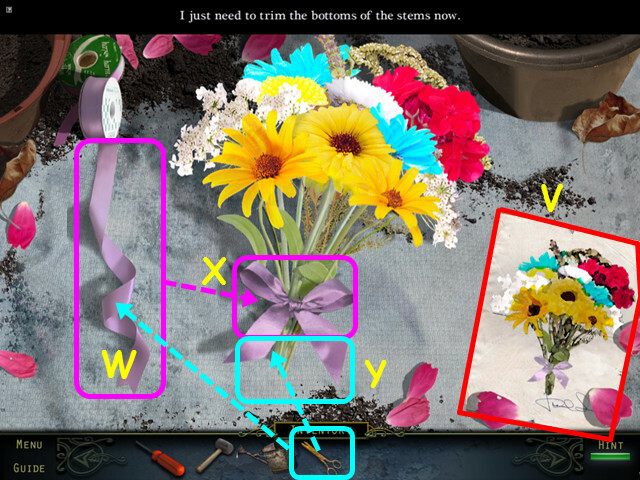 Use the FLORISTRY RIBBON on the flowers (X). Use the SCISSORS to cut the stems (Y). Give the BOUQUET to the florist (A). Talk to her and she will give you the FUNNEL. Use the SCISSORS on the parachute to get the SILK CLOTH (B). Exit the bell tower and walk forward to the river. Find the 32/40 Haunted Souls (@). Look at the engine and place the FUNNEL into the tank (C). Pour the GASOLINE into the funnel (D). Push the start button (E). 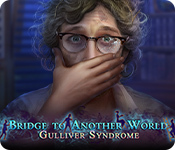 Pull the lever to lower the bridge (F). Find the 33/40 Haunted Souls (@). Note the stained glass window (H). Look at the right coffin and use the SILK CLOTH to clean the plaque (I). Return to the street with the carriage. 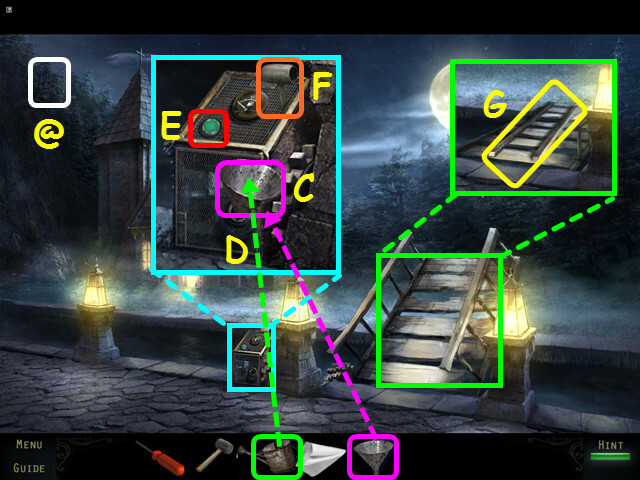 Place the LADDER under the window (J). Enter the window to Lillian’s bedroom (K). Find the 34/40 Haunted Souls (@). 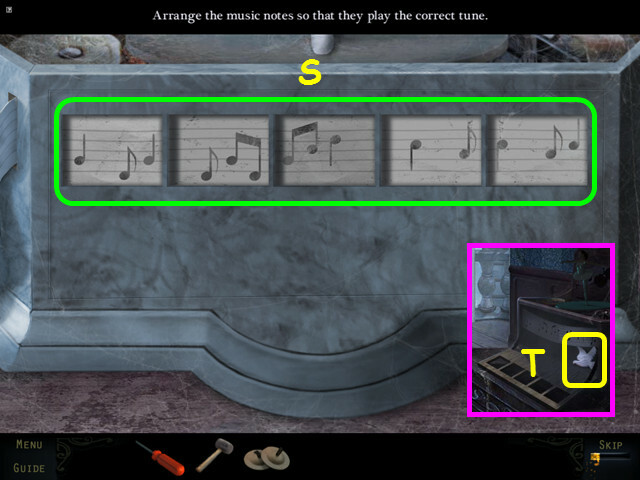 Note the music box mini-game (L). Select the vanity for a HOS (M). 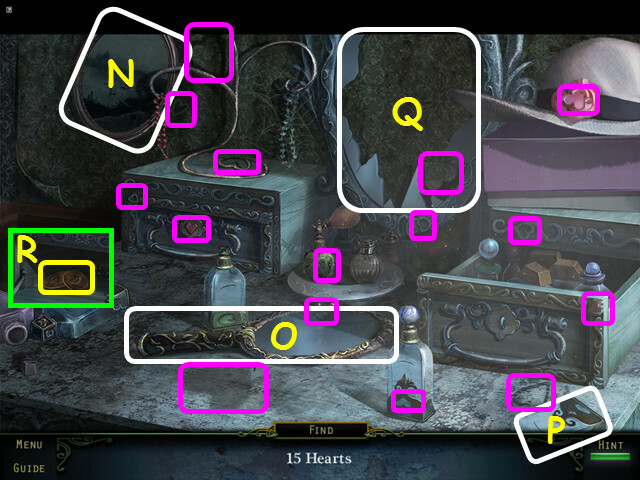 Locate the 15 hearts marked in purple. Move the wall picture (N), hand mirror (O), and bottle (P) to find hearts. 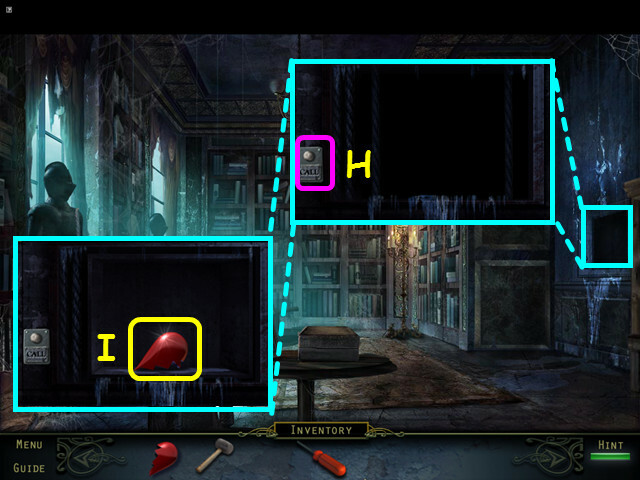 Break and remove the large mirror to find a heart (Q). Once the left drawer opens, take the TINY CYMBALS (R). Look at the music box mini-game. Change each panel so that the notes light and you hear the tune as the bar passes (S). Take the DOVE once the music box opens (T). Look at the monkey and give him the TINY CYMBALS (U). Take the MONKEY HEAD (V). Exit the toy shop and enter the hole in the ground (W). Find the 35/40 Haunted Souls (@). Place the MONKEY HEAD on the headless monkey (A). 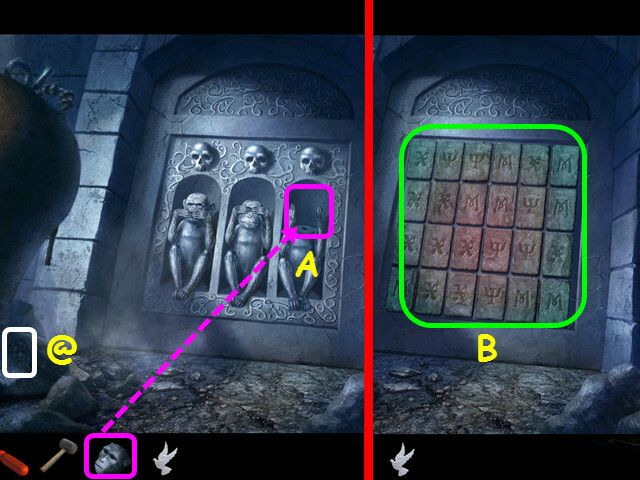 Select the wall carving for a mini-game (B). Find a path through the tiles that follows the symbols carved at the top (C). Once a tile is used, you cannot reuse it. 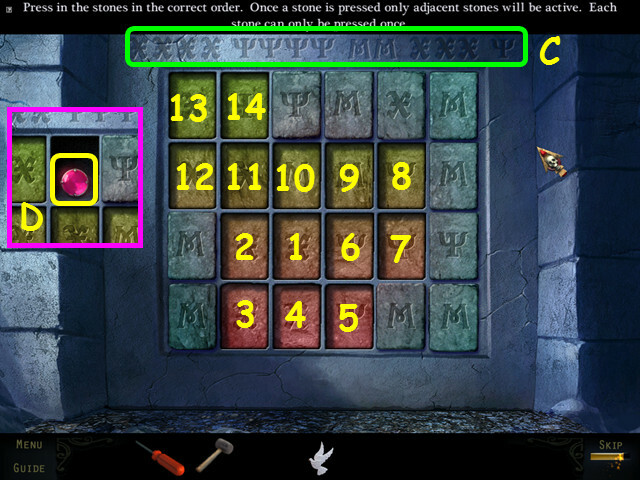 Press the tiles in numerical order (1-14). Take the PINK GEM (D). Walk down 3 times to the area with the plane. Look at the stone pillar for a mini-game. Place the PINK GEM in the empty spot to trigger the mini-game. 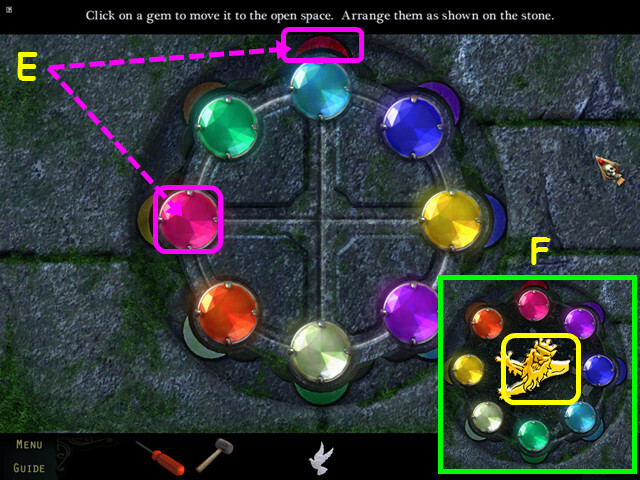 Move the gems so they are over the same color circles (E). 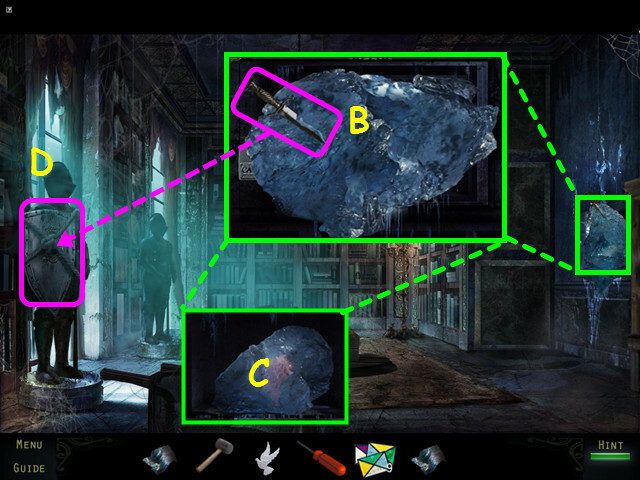 Select a gem to move it to the adjacent empty position. Our solution was: aqua-green-pink-orange-white aqua-yellow-blue-green-pink-orange-yellow-aqua-purple-blue-aqua-purple-white-yellow-orange-pink-purple-aqua-green-purple-pink-orange-yellow-white-blue green-aqua-blue-green-aqua-blue. 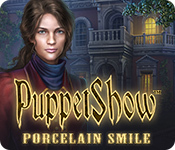 This mini-game is randomly generated – your solution may vary. Take the LION HEAD (F). Walk forward twice, walk right, then forward to the gate of Lord Neville. Look at the gate and place the LION HEAD into the crest (A). Find the 36/40 Haunted Souls (@). Look at the fountain; take the 1/16 STAINED GLASS and the 2/16 STAINED GLASS (B). Look at the right knight and give him the SWORD (D). Take the 3/16 STAINED GLASS and the 4/16 STAINED GLASS (E). Take the DOOR KNOCKER from the helmet (F). Look at the front door, place the DOOR KNOCKER on the front, then use the knocker to open the door (G). Find the 37/40 Haunted Souls (@). Take the first TORN PAINTING SCRAP (H). Note the locked door on the right (I). Walk left to the drawing room (J). Find the 38/40 Haunted Souls (@). Take the second TORN PAINTING SCRAP (K). Move the chair and take the 5/16 STAINED GLASS (M). Look at the hole in the door and take the 6/16 STAINED GLASS (N). Use the POKER to move it closer, then take the BOOK (O). 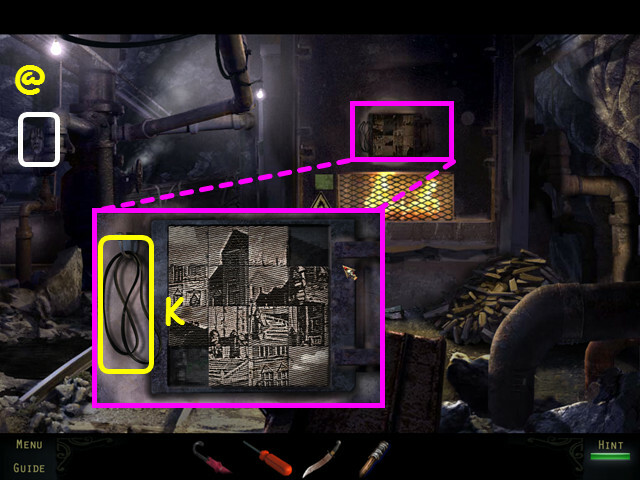 Note the mini-game on the upper right door (P). Enter the upper left door to the library (Q). Find the 39/40 Haunted Souls (@). Take the PLIERS and the 7/10 STAINED GLASS (R). 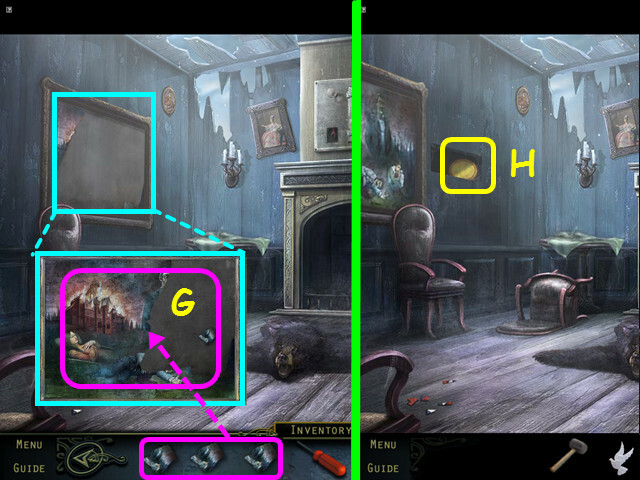 Select the bookcase on the right for a mini-game (S). 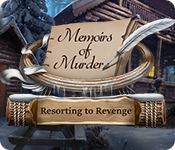 Place the BOOK on the shelf to trigger the mini-game. 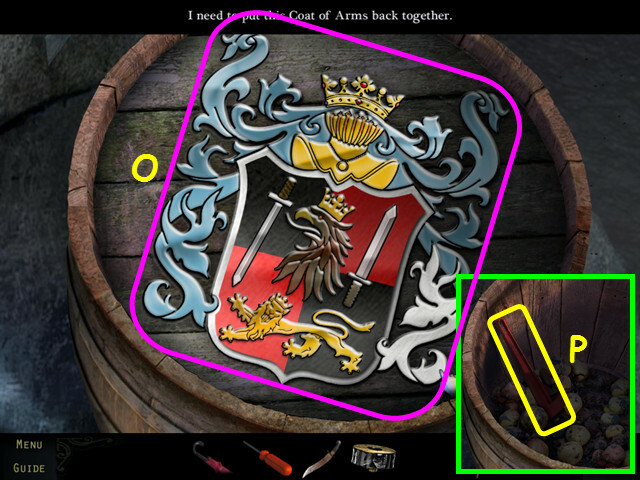 Move the books to create the crest; select 2 books to swap positions. 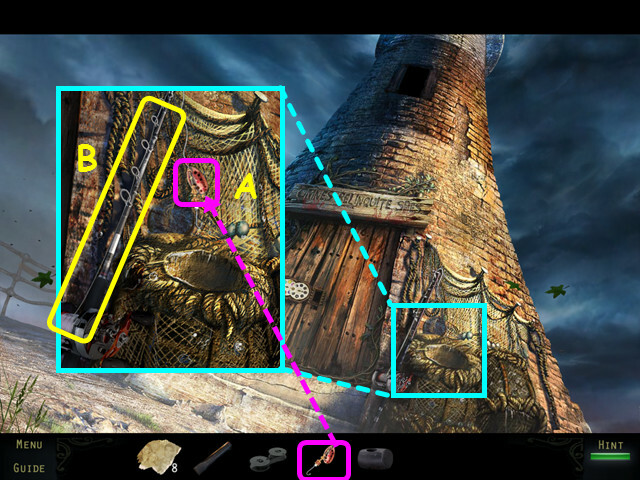 See the screenshot for the solution (A). Look at the dumbwaiter and take the DAGGER from the ice (B). You will have to grab it several times. Note the ice still left in the dumbwaiter (C). Use the DAGGER to cut the SHIELD from the knight (D). Look at the left knight and give him the SHIELD (E). Take the third TORN PAINTING SCRAP (F). Re-enter the mansion, then go left to the drawing room. Look at the painting and place the 3 TORN PAINTING SCRAPS into the frame (G). They will automatically snap into place. Take the GLOWING DISC (H). 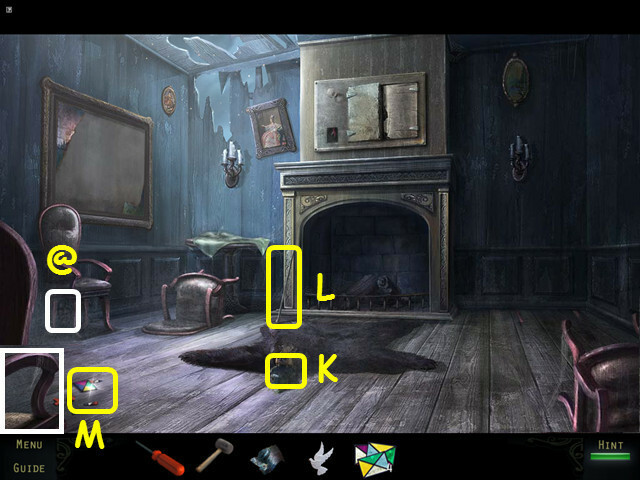 Exit the room and look at the upper right door for a mini-game. 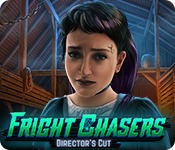 Place the GLOWING DISC in the center of the door to trigger the mini-game. Drag the rings into position to complete the picture (I). Find the 40/40 Haunted Souls (@). Take the 8/16 STAINED GLASS (J). Take the CALL BUTTON (K). Note the corpse holding the large heart (L). Return to the drawing room. Look at the dumbwaiter and place the CALL BUTTON on the wires (M). Take the 9/16, 10/16, and 11/16 STAINED GLASS (N). Look at the right coffin and place the DOVE on the plaque (T). Talk to Lillian’s groom and he will give you the first BROKEN HEART (U). 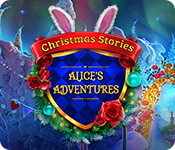 Look at the stained glass window and take the 12/16, 13/16, 14/16, 15/16, and 16/16 STAINED GLASS. 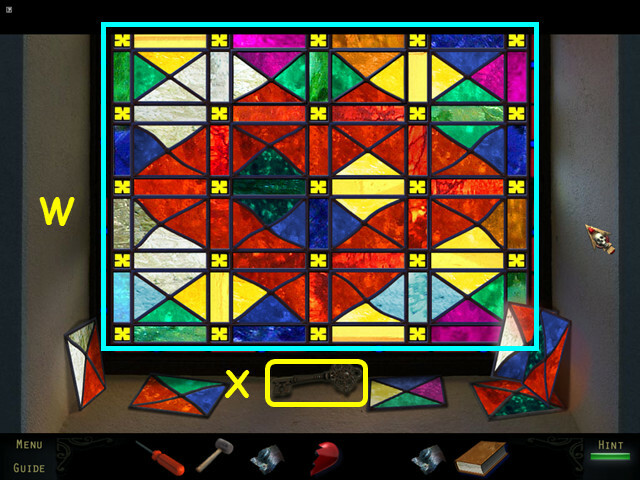 Use the 16 STAINED GLASS on the grid for a mini-game (V). 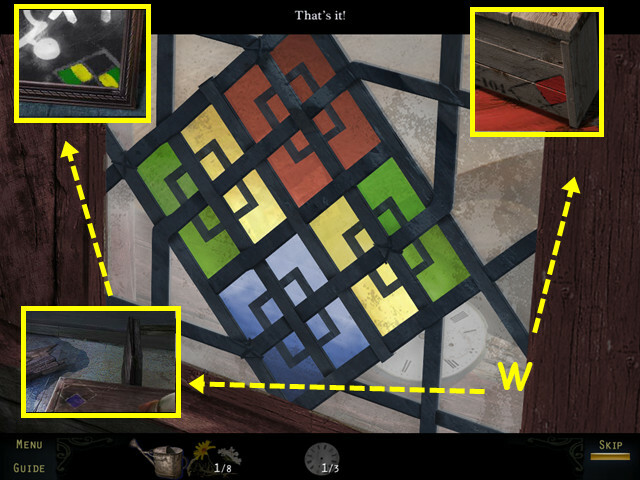 Drag the stained glass pieces into position to complete the window (W). Take the DOOR KEY (X). Return and enter the mansion. Look at the door on the right and use the DOOR KEY in the lock (Y). Use the PLIERS on the broken key (Z). Walk right to enter dining room for a HOS. Pet the dragon to make a star appear (A). Remove the painting to reveal the hands (B). Hit the gong to reveal a bottle (C). Open the hatbox for a hat (D). Move the chair to reveal a star and bottle (E). Use the MATCHES to light the fireplace (F). You will see water dripping. Look at the dumb waiter and press the call button (H). Take the second BROKEN HEART (I). 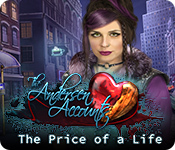 Look at the corpse and place the 2 BROKEN HEARTS into the wooden plaque (J). Rotate the discs to restore the picture. Moving some discs will cause others to move. Rotate Kx2, Lx2, Mx2, and Nx2. 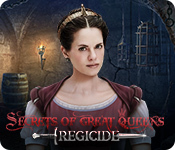 This mini-game is randomly generated – your solution may vary. The final picture is of Lillian (O). Restore another picture of Lillian jigsaw-style (P). 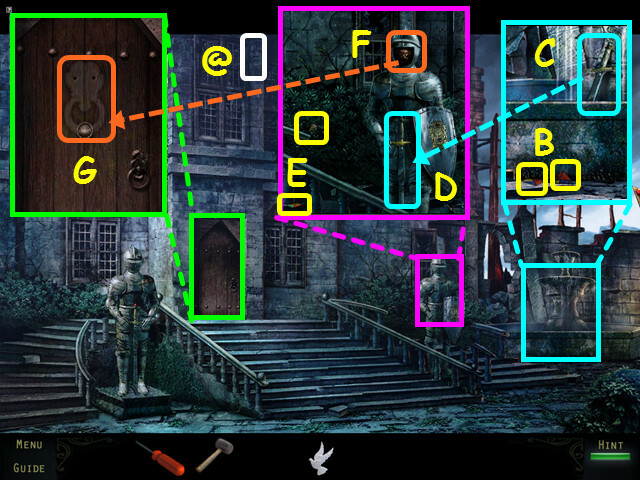 Drag pieces into position, then select to rotate in place. Take the WEDDING RINGS (Q). Give the WEDDING RINGS to the bride and groom (R). Congratulations! 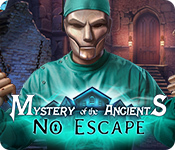 You have completed Haunting Mysteries: Island of Lost Souls Standard Edition! 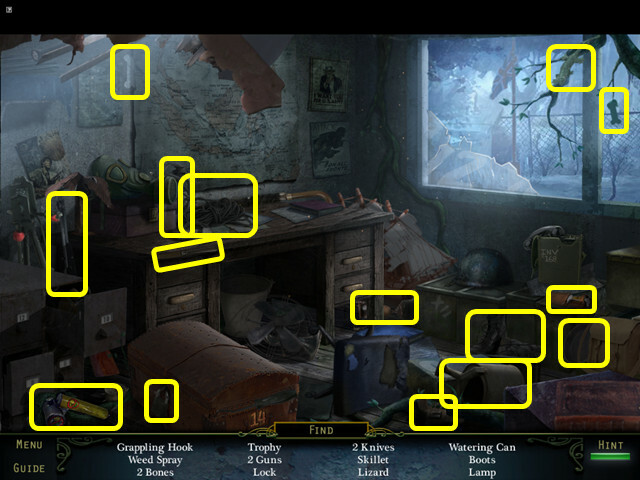 Haunted Soul Rookie: Find 20 of the Haunted Souls. 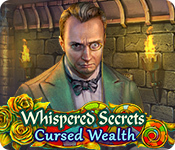 Haunted Soul Expert: Find all 40 of the Haunted Souls. I’m Feelin’ Fuzzy: Find the Fuzzy Bug toy in the Toyshop cabinet. Who’s Watching? 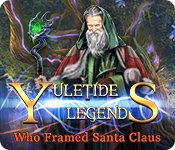 : Select the man in the Lighthouse when he appears in the lighthouse window. 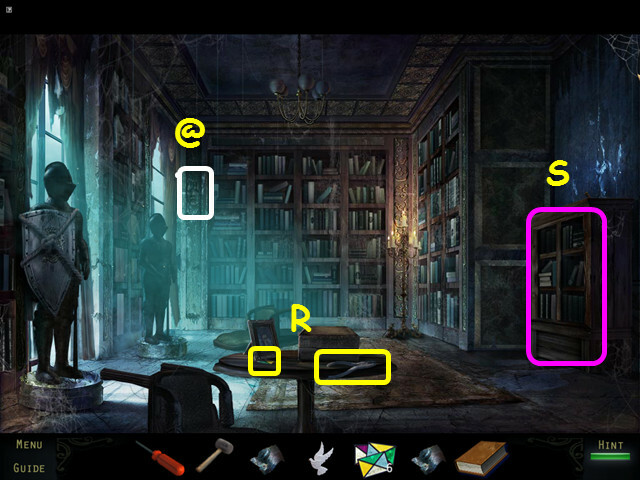 Hurry, Hurry, Hurry: Complete any Hidden Object Scene in under 1 minute. 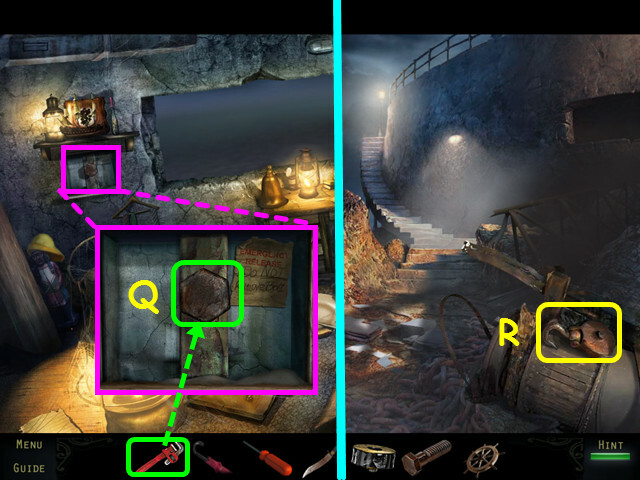 I Need a Little Help: Use 3 hints in one Hidden Object Scene. 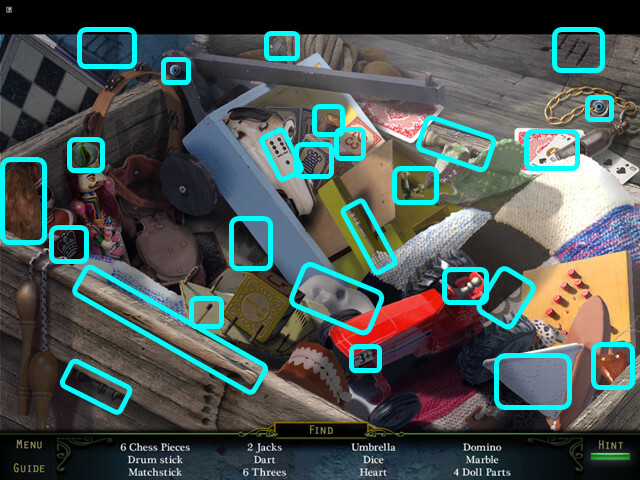 Quick Fingered: Find 4 Hidden Object items in under 3 seconds. 7 Days a Week: Play the game every day of the week. Look No Hands! : Didn’t get your hands dirty trying to pull out the brick at the rear of the Lighthouse; you instead used the screwdriver or chisel. Perfect Finish: Completed the game without skipping any mini-games. 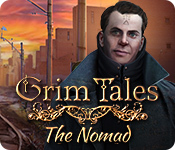 I know a Short-cut: Completed the game in less than 3 hours. 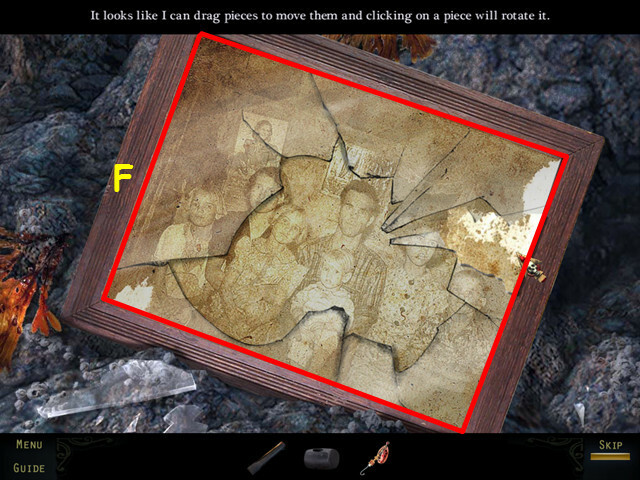 Repaired the Photograph: Complete the photograph puzzle without skipping. 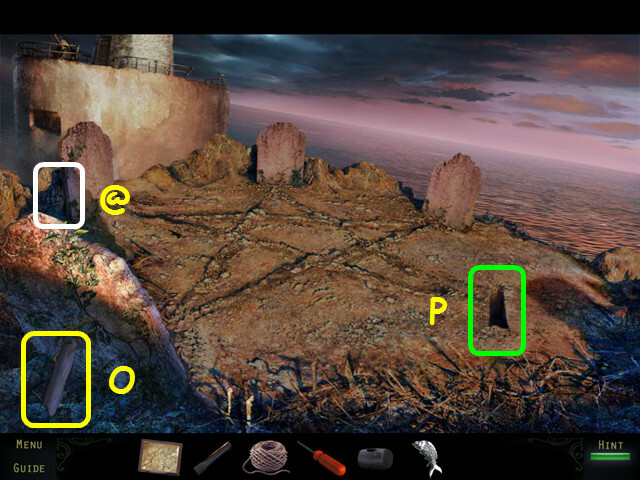 Enter the Lighthouse: Complete the Lighthouse door puzzle without skipping. 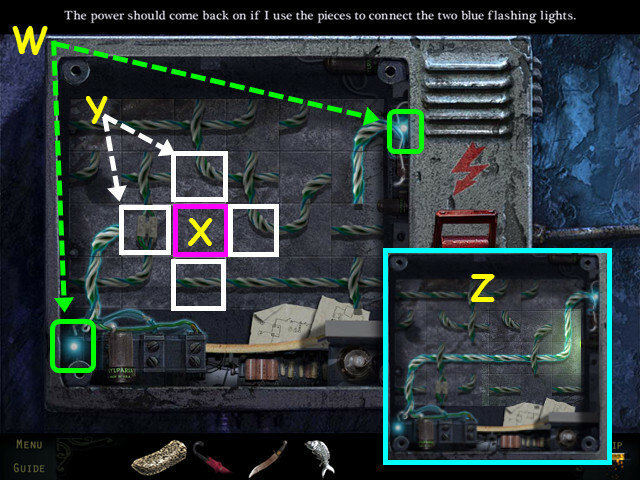 The Lights Are On: Complete the electricity box puzzle without skipping. Opened The Barrel: Complete the barrel puzzle without skipping. 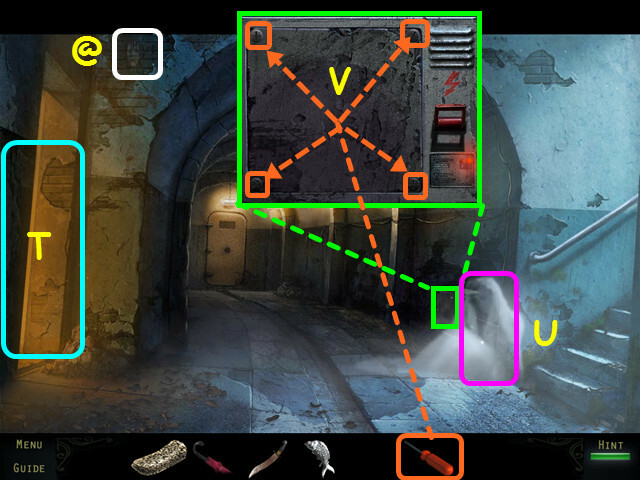 Another Route Out: Complete the Bunker door Puzzle without skipping. 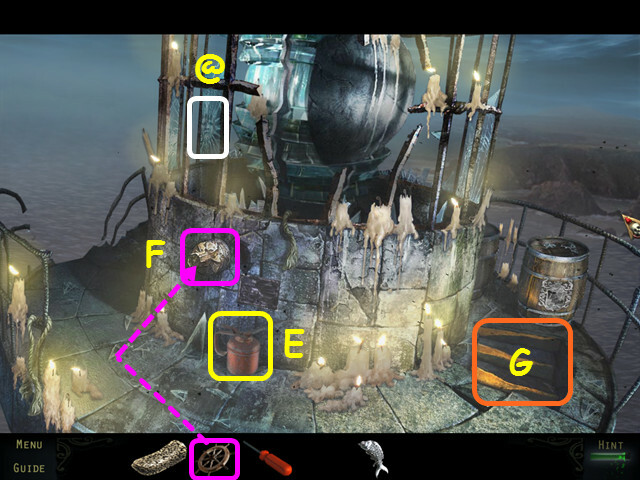 Opened the Furnace: Complete the Furnace Puzzle without skipping. 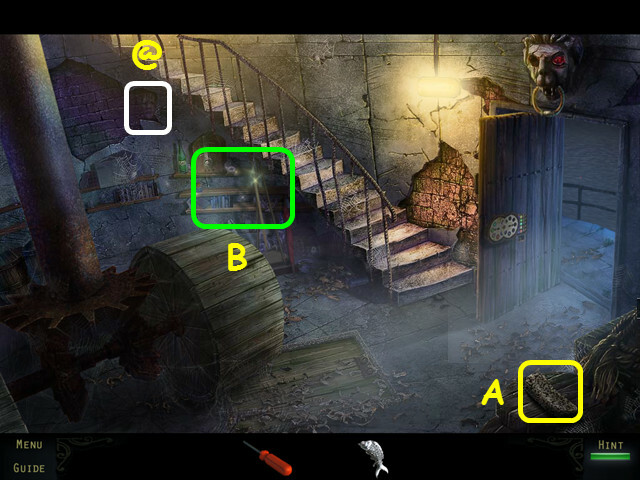 Coin-Op: Complete the Jeep Puzzle box without skipping. Master Emerald: Complete the Compass Puzzle without Skipping. 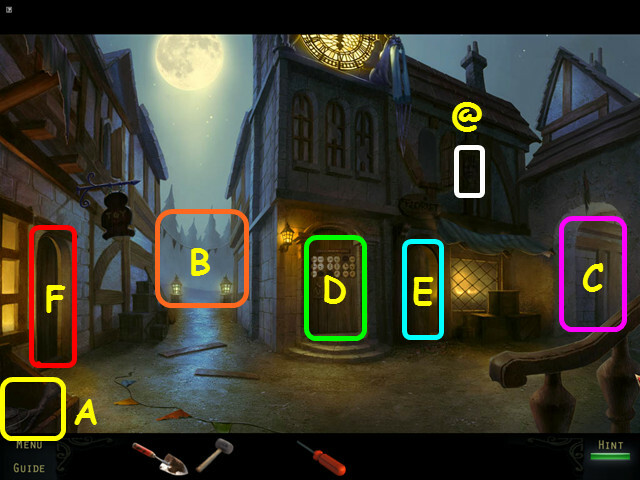 In Tune: Complete the Music Box Puzzle without Skipping. 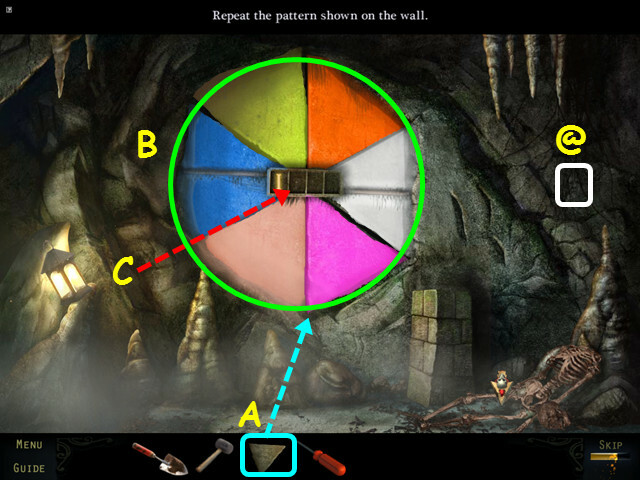 Perfect Synch: Complete the Waterfall Cave puzzle without Skipping. Open Sesame: Opened the town gate. Distress Signal? 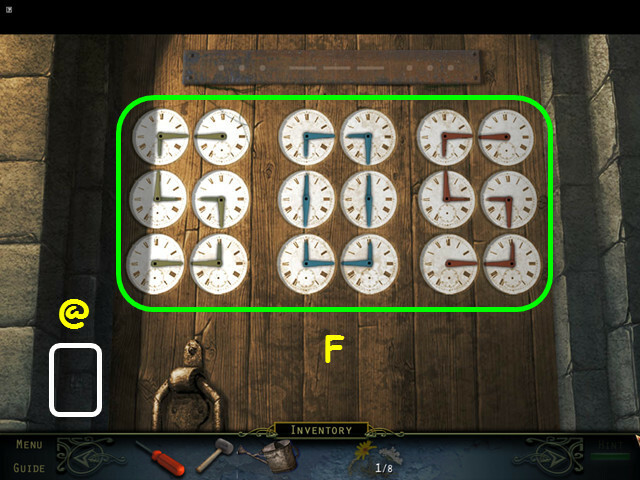 : Complete the Clock Tower Door Puzzle without skipping. 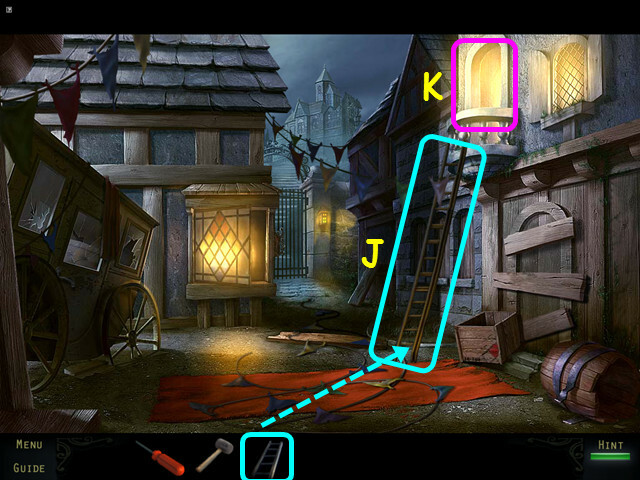 Inn The Window: Complete the Inn Window Puzzle without Skipping. Flower Power: Complete the Wedding Bouquet puzzle without skipping. 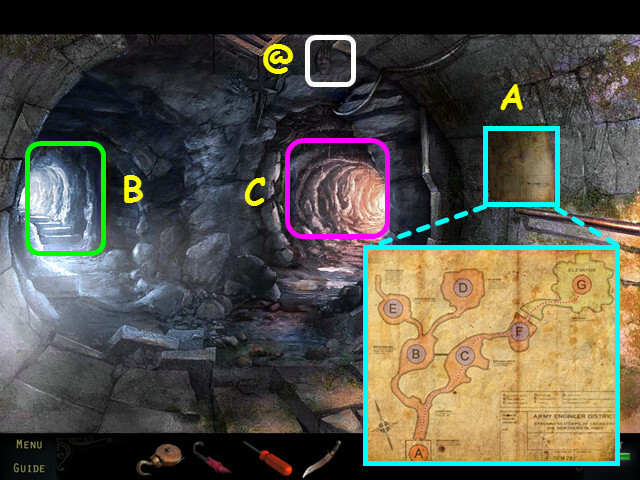 On the Right Path: Complete the Crypt wall puzzle without Skipping. 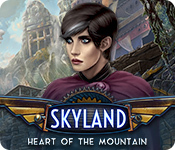 Heart of Glass: Complete the Church Window puzzle without Skipping. Bookworm: Complete the library bookcase puzzle without Skipping. 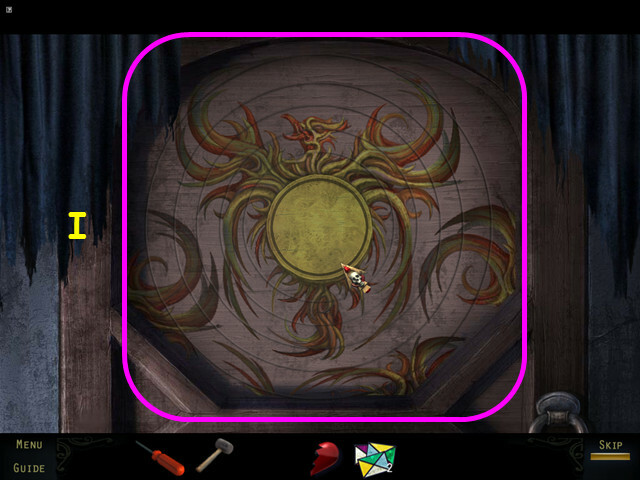 Phoenix Rising: Complete the phoenix door puzzle without Skipping. 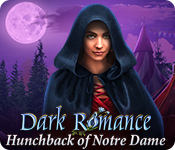 Heart Breaker: Complete the Heart Box Puzzle without Skipping. Together Again: Reunited Lillian with her true love. (unlocks in the church after handing over the rings). 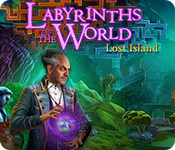 Awards Master: Unlocked every other award in The Island of Lost Souls.